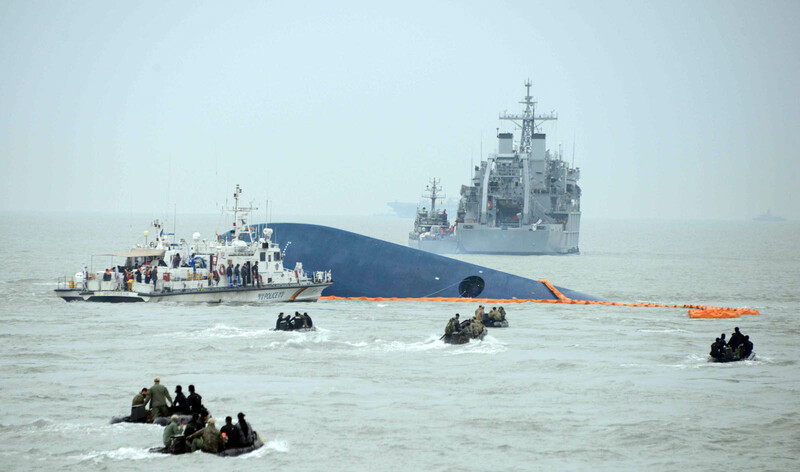 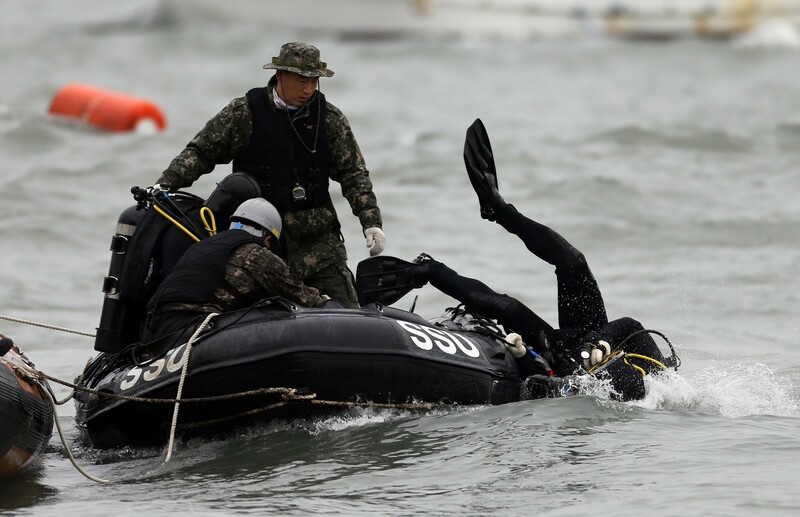 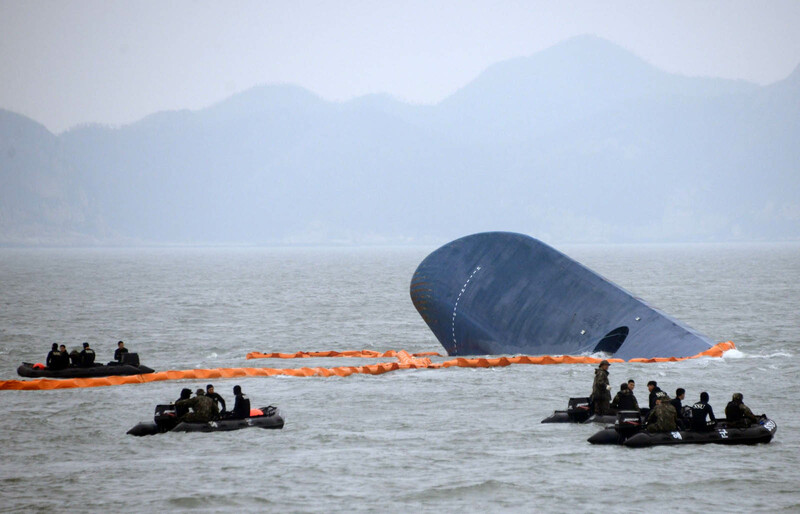 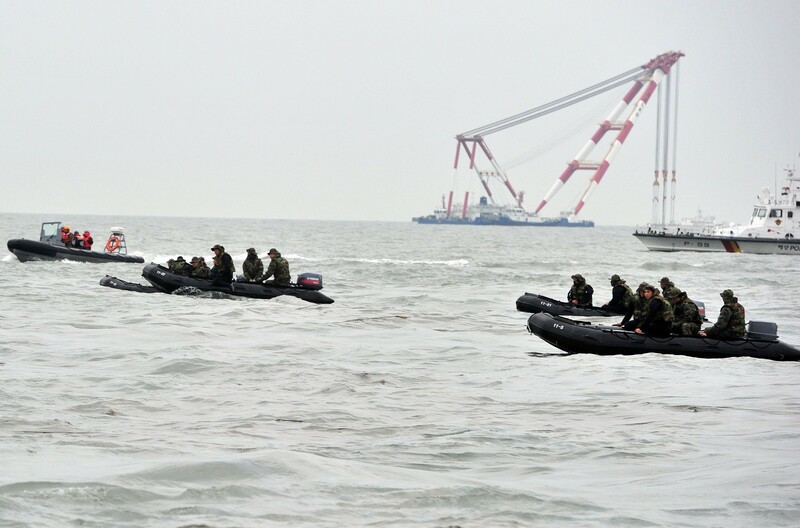 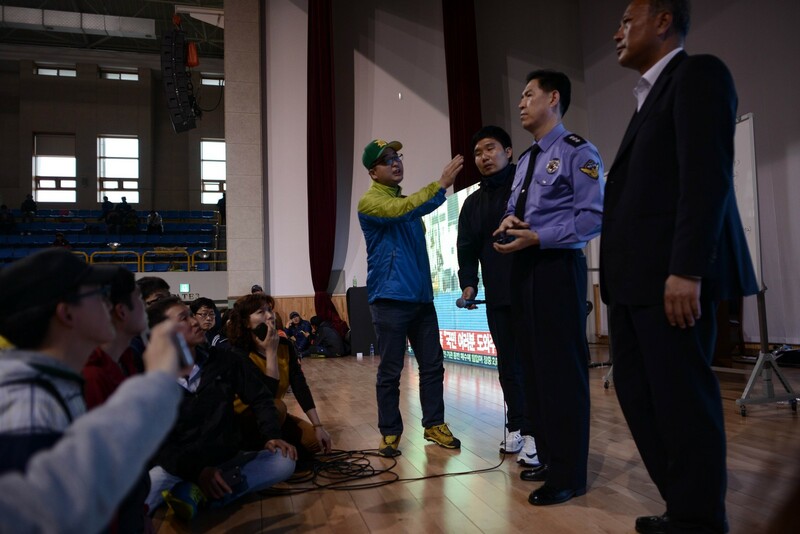 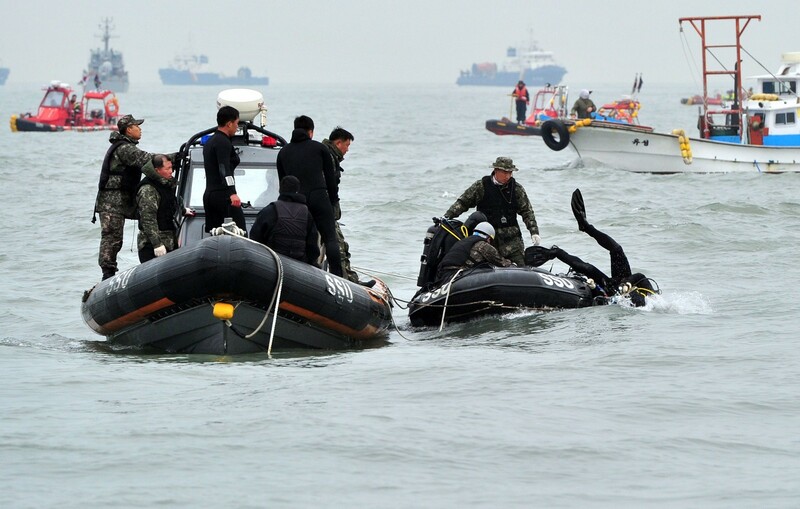 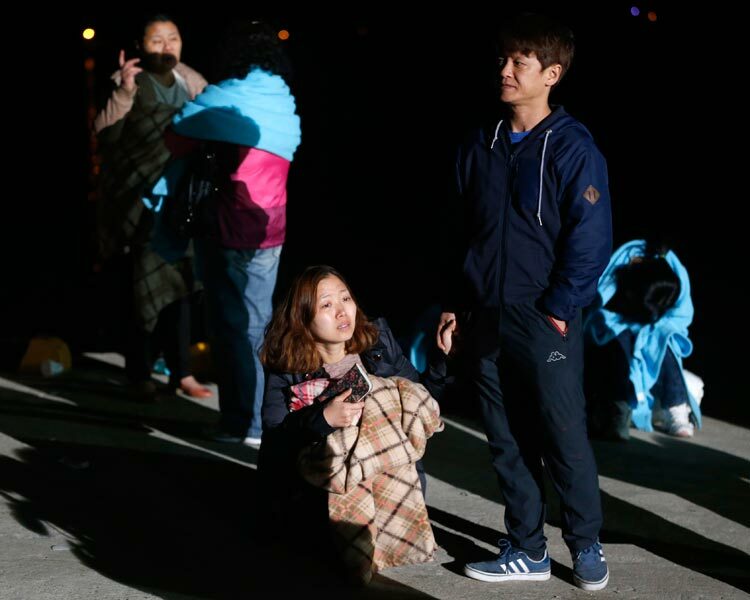 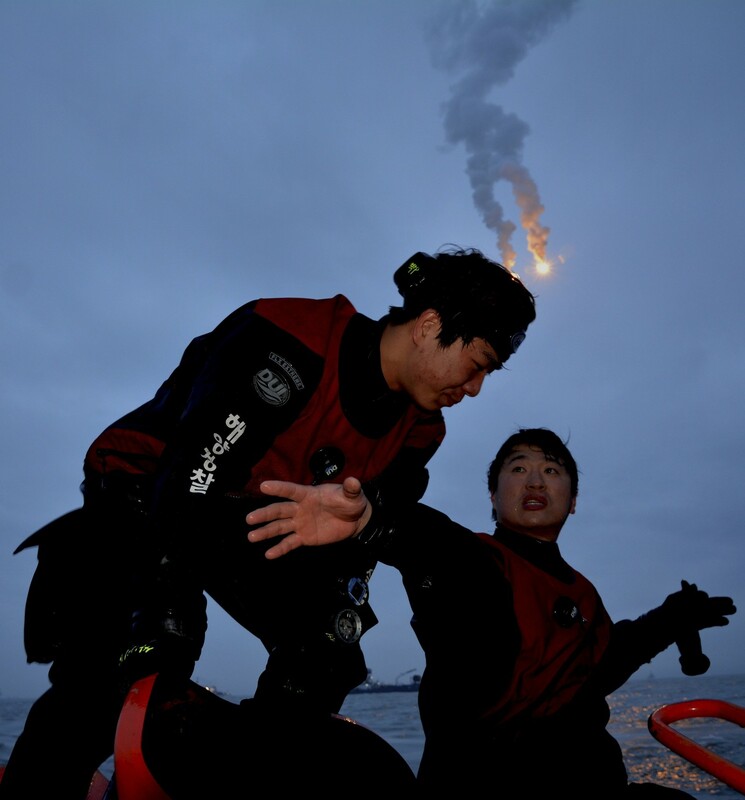 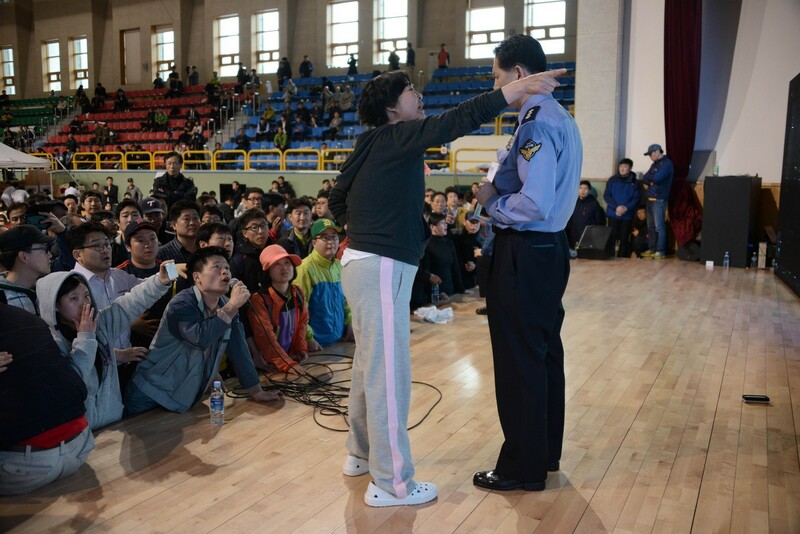 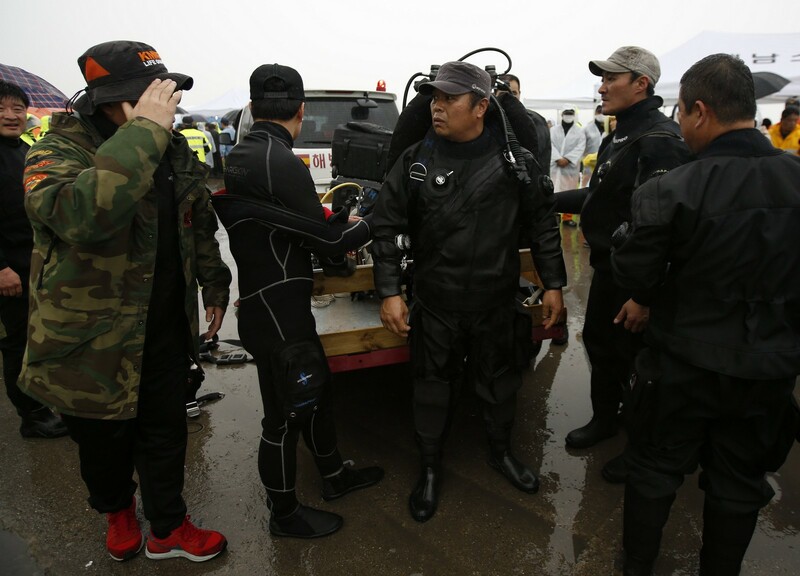 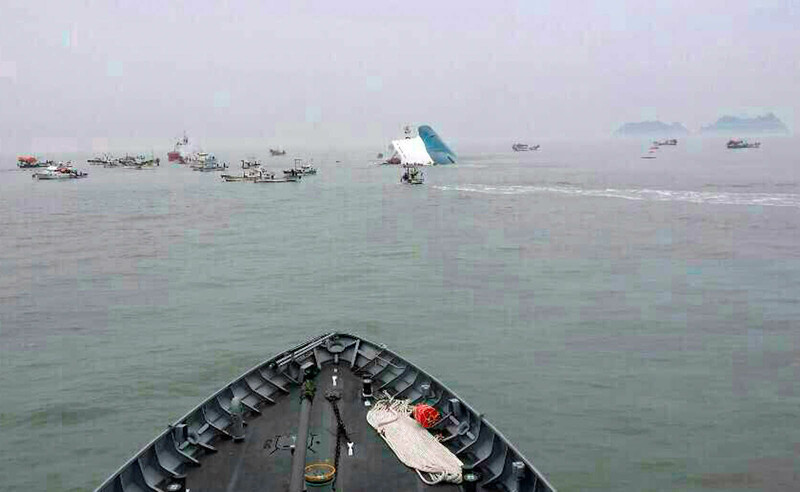 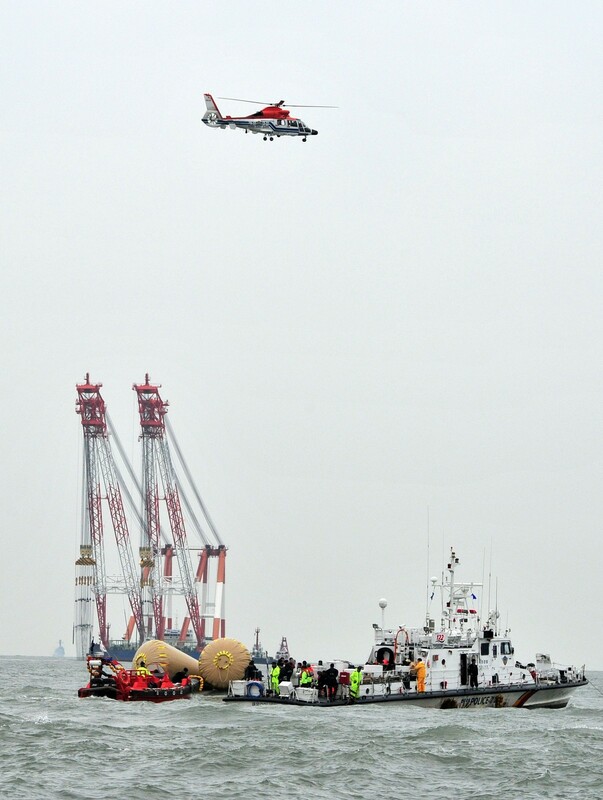 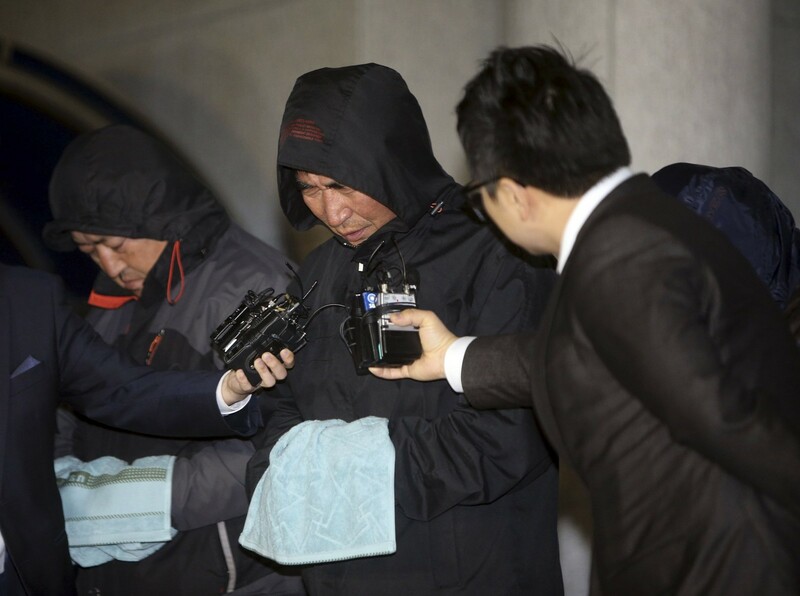 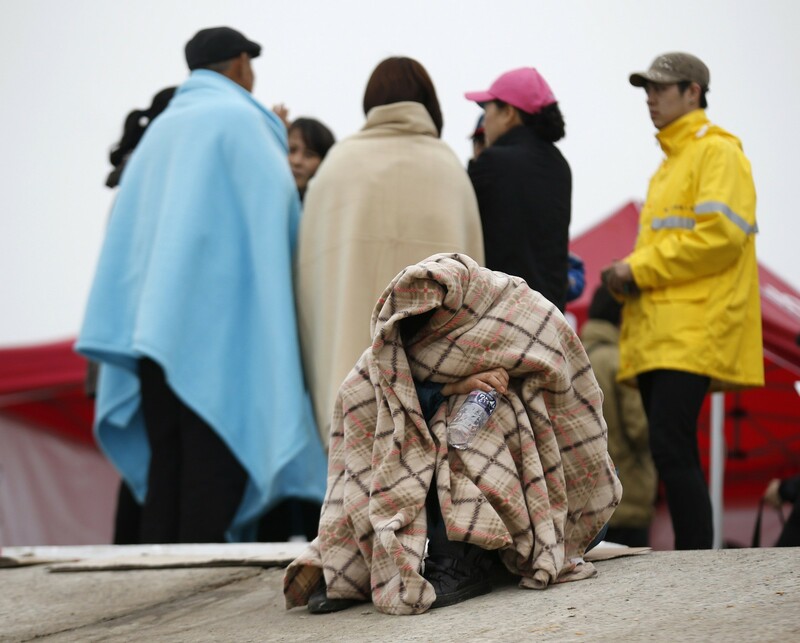 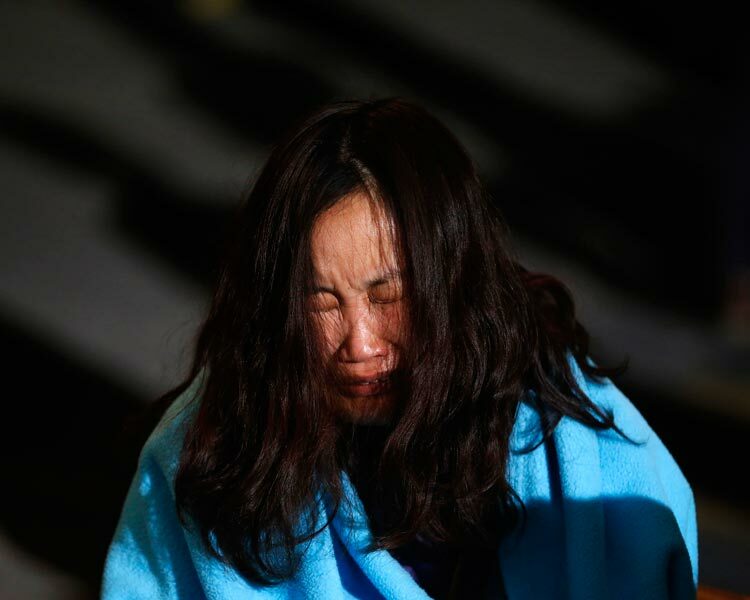 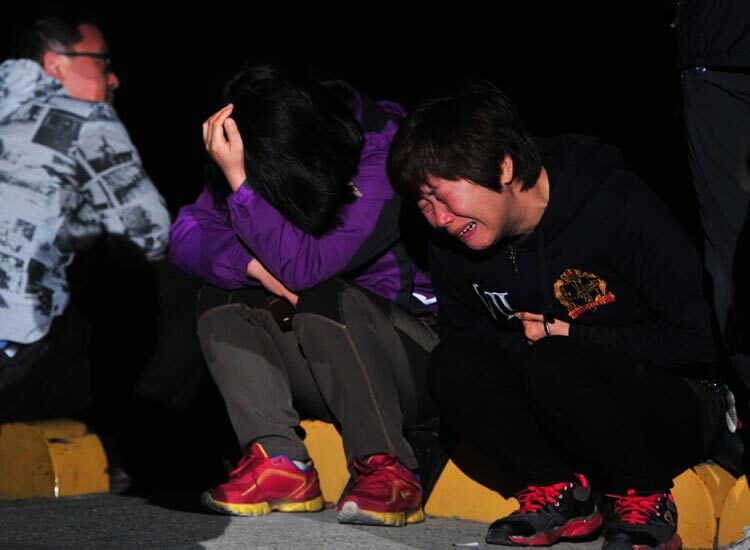 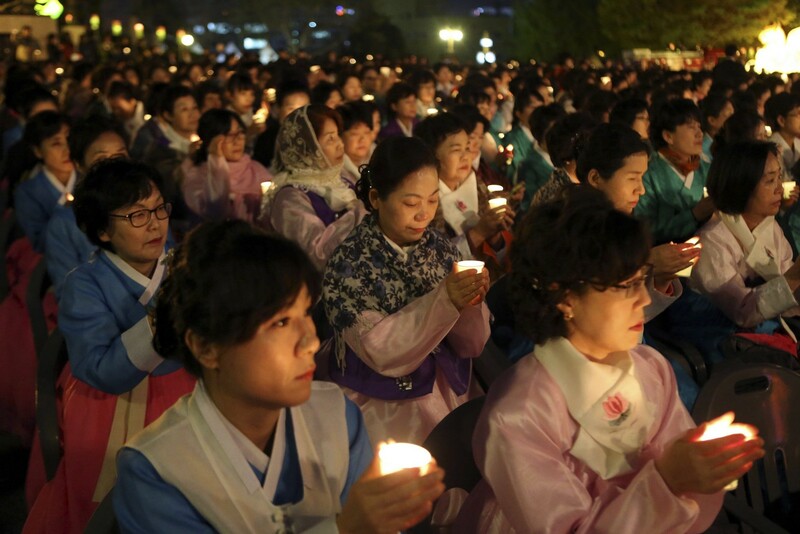 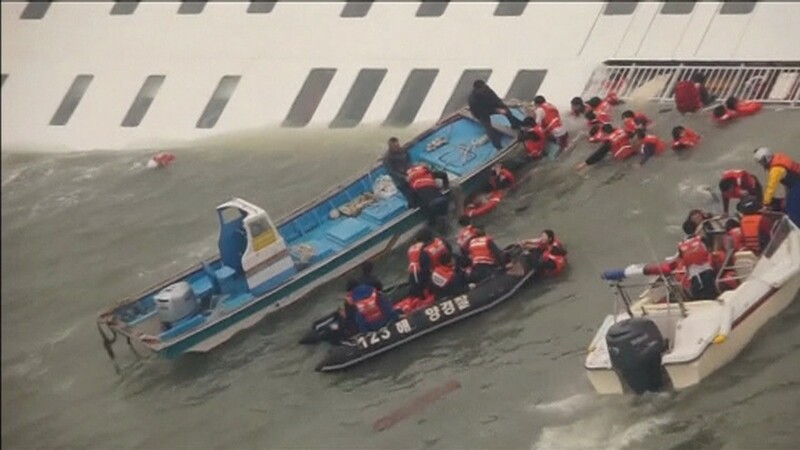 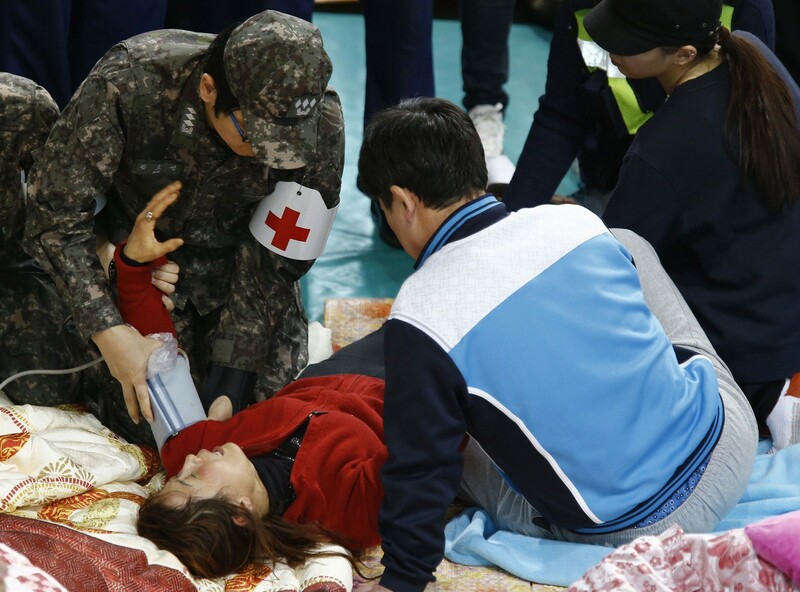 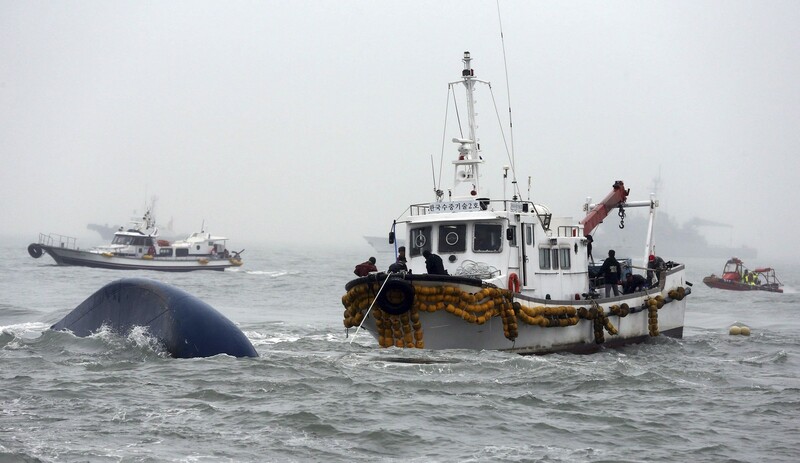 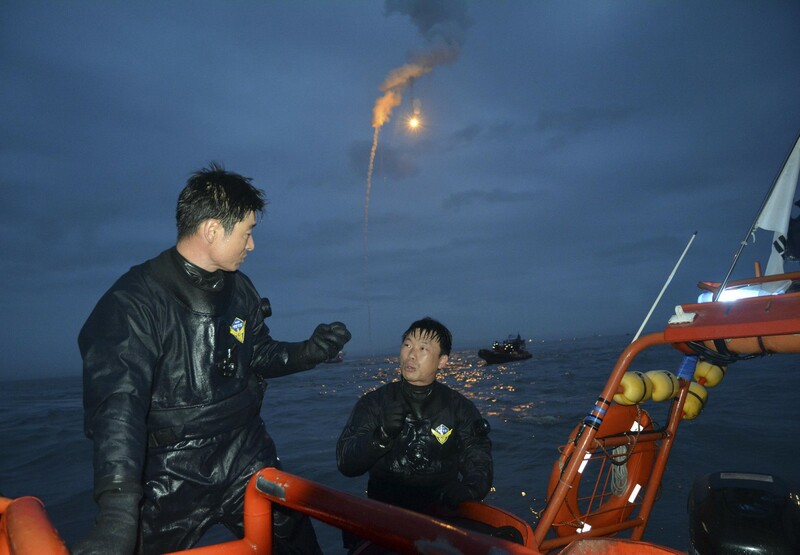 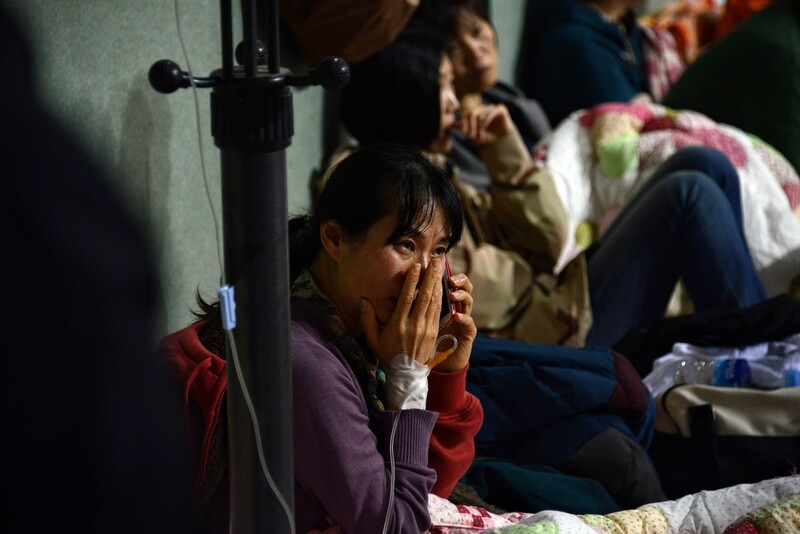 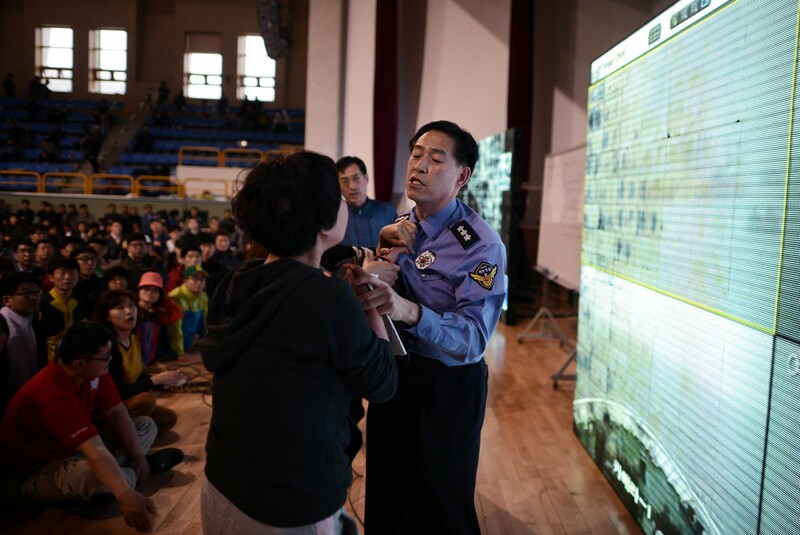 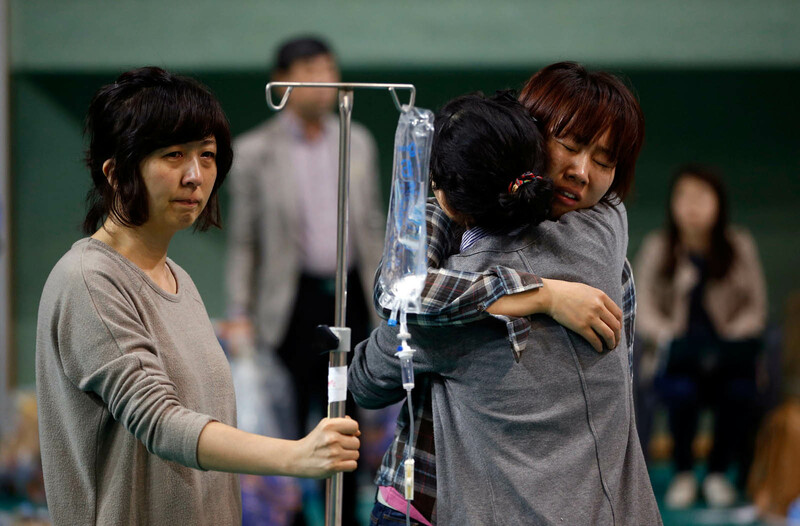 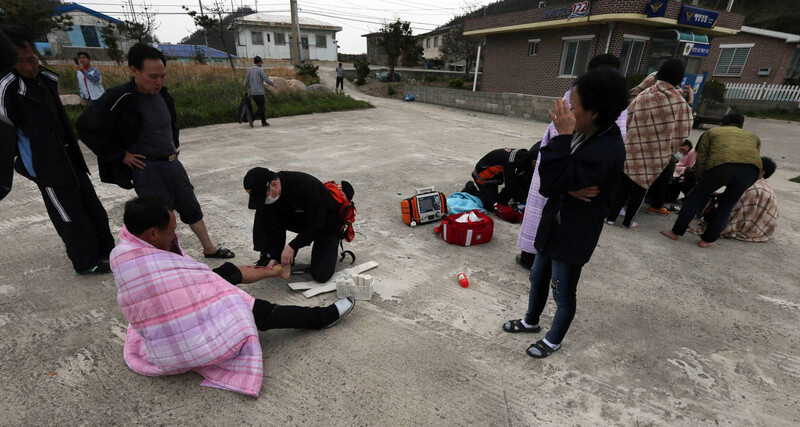 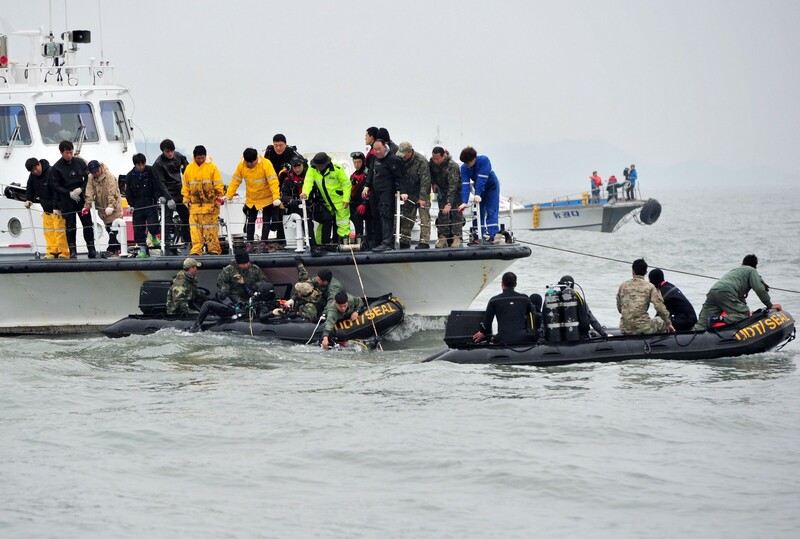 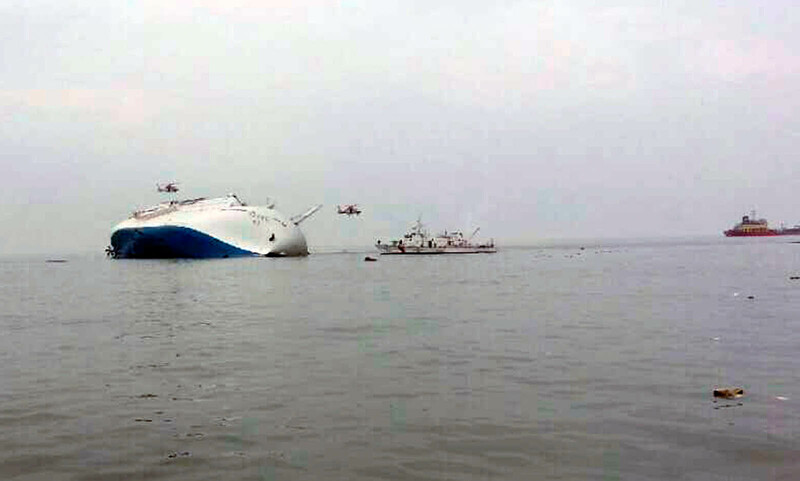 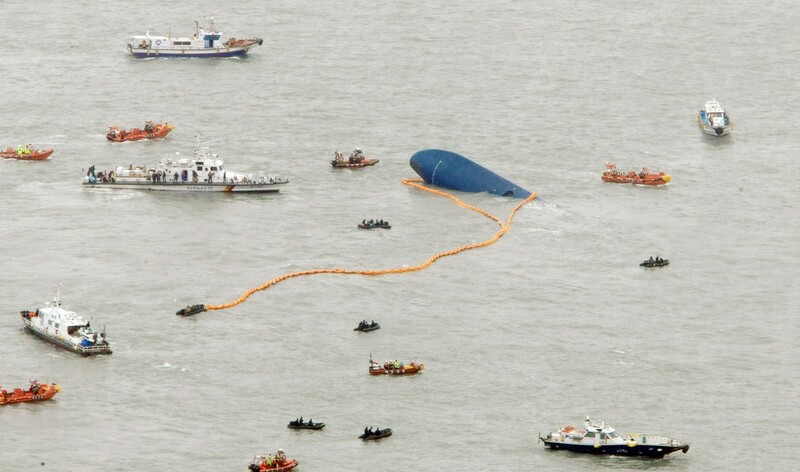 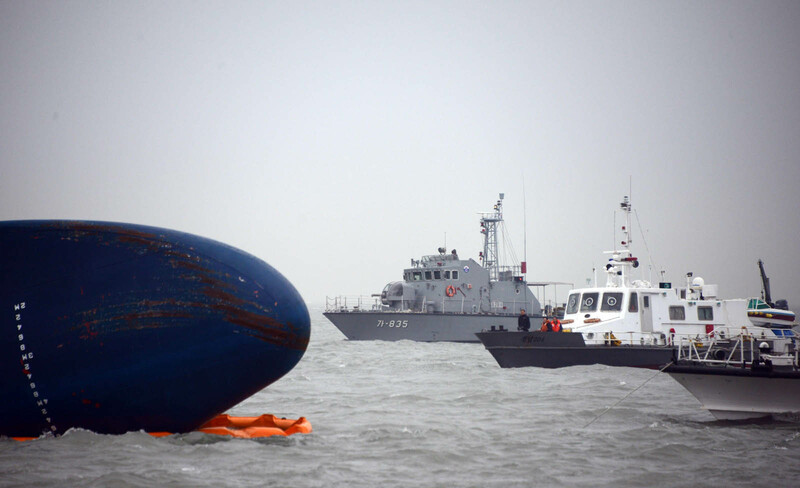 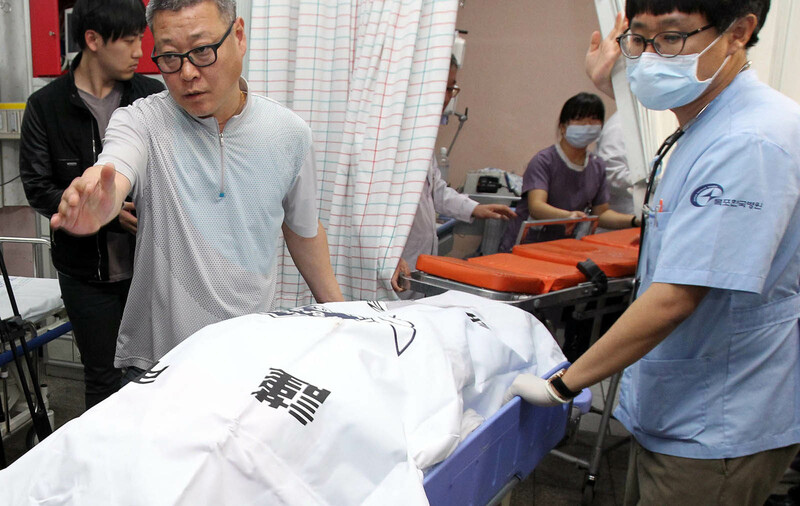 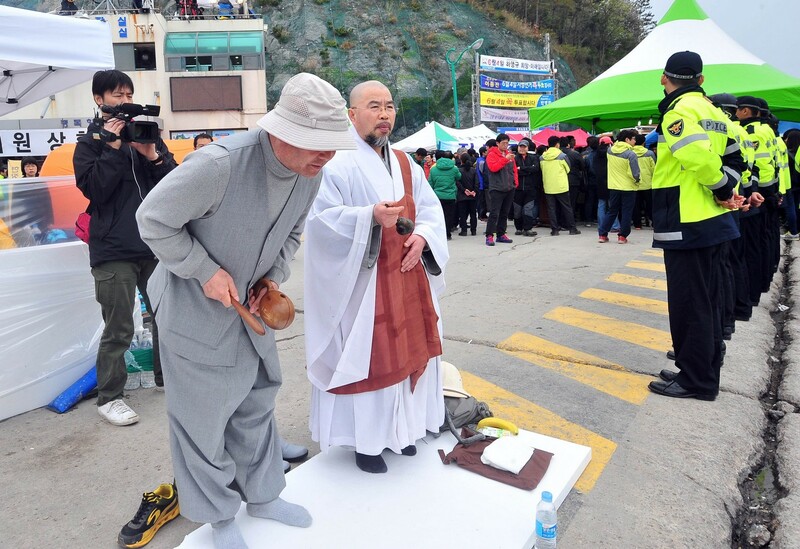 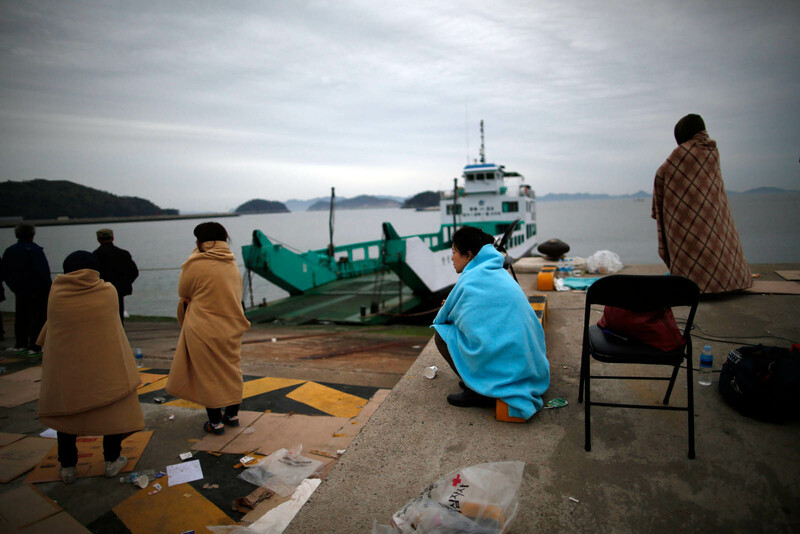 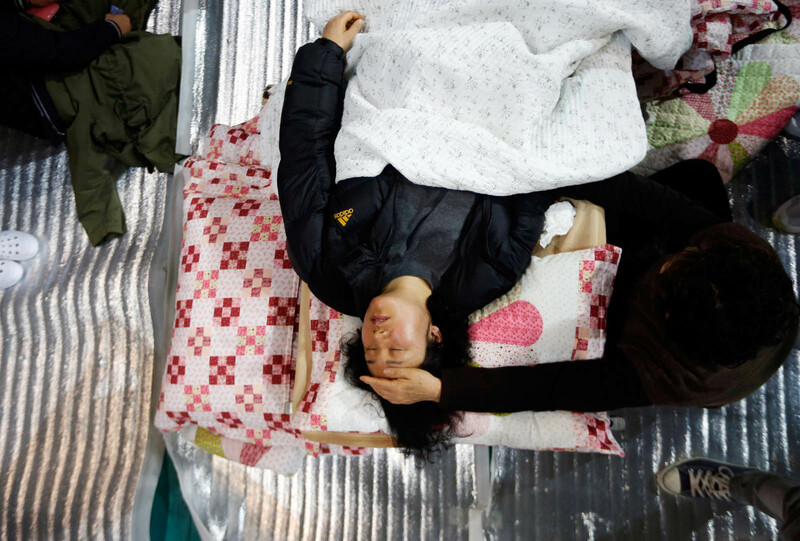 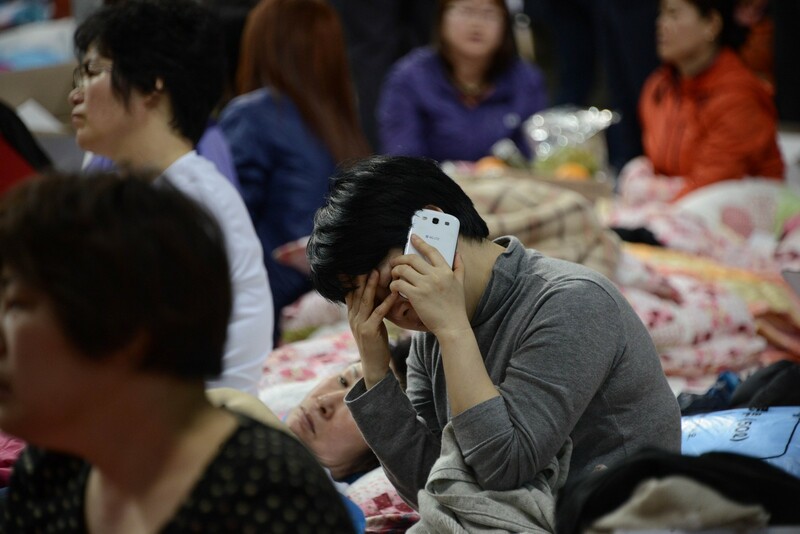 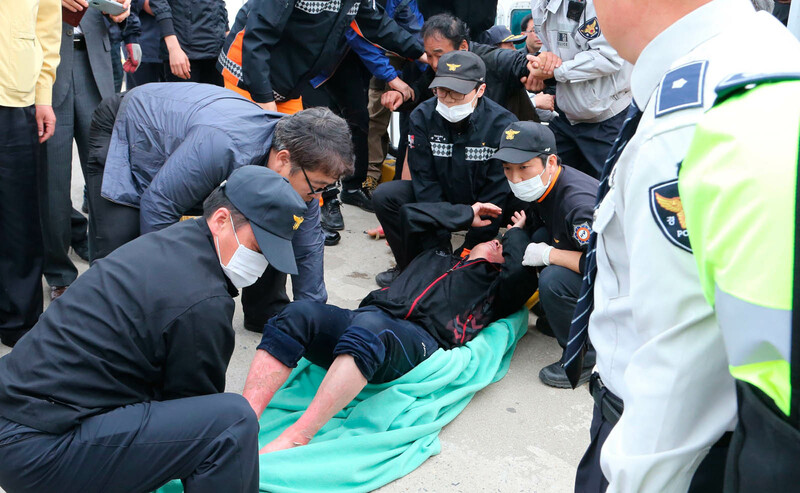 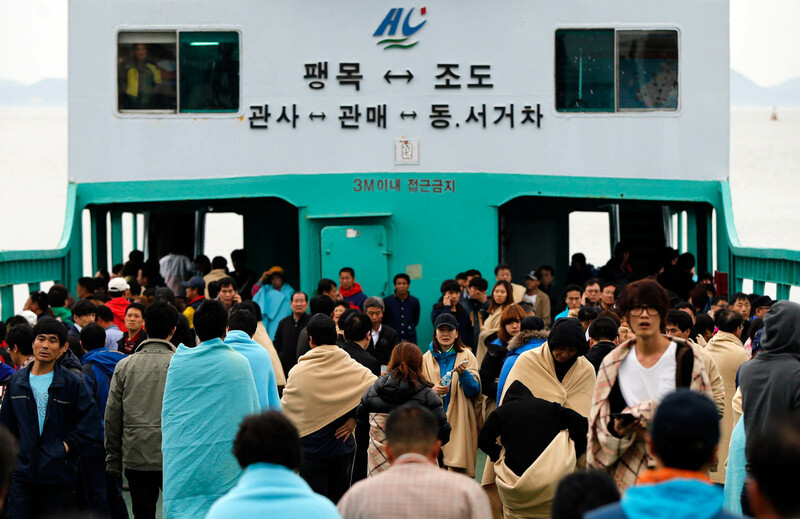 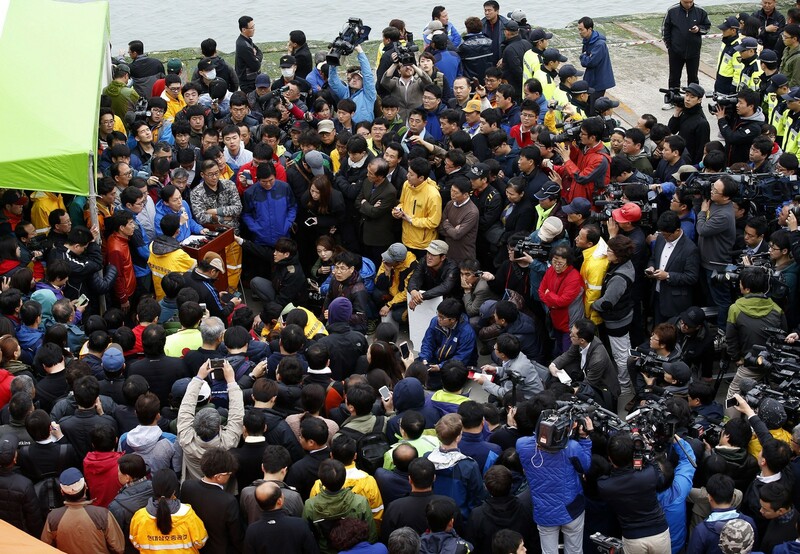 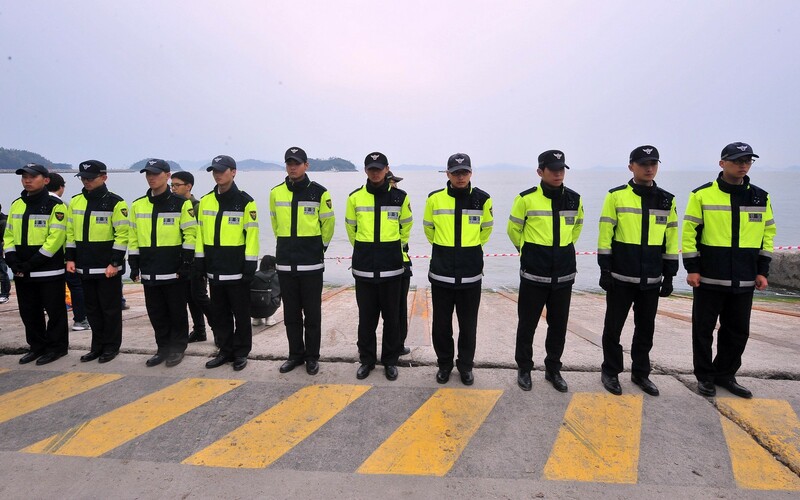 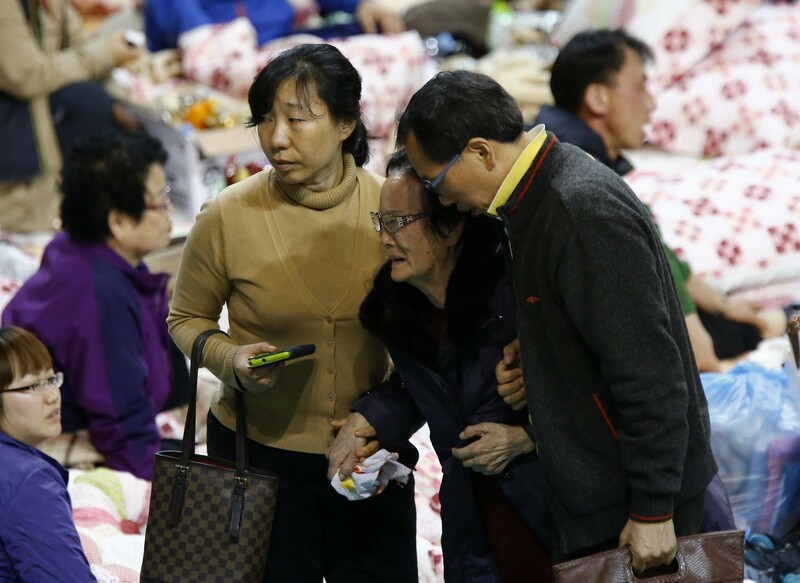 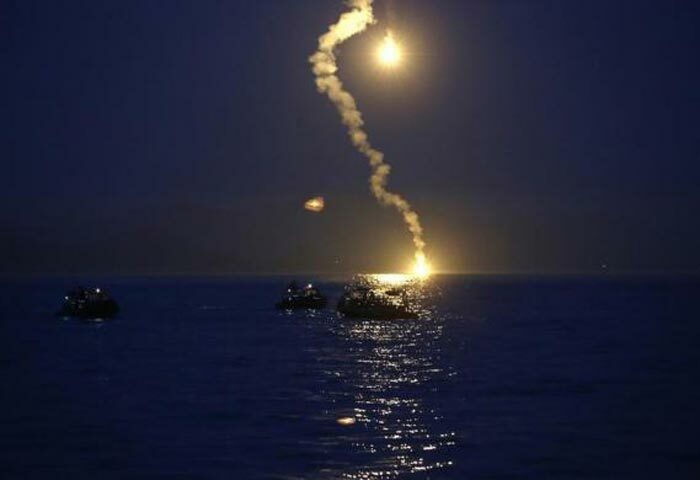 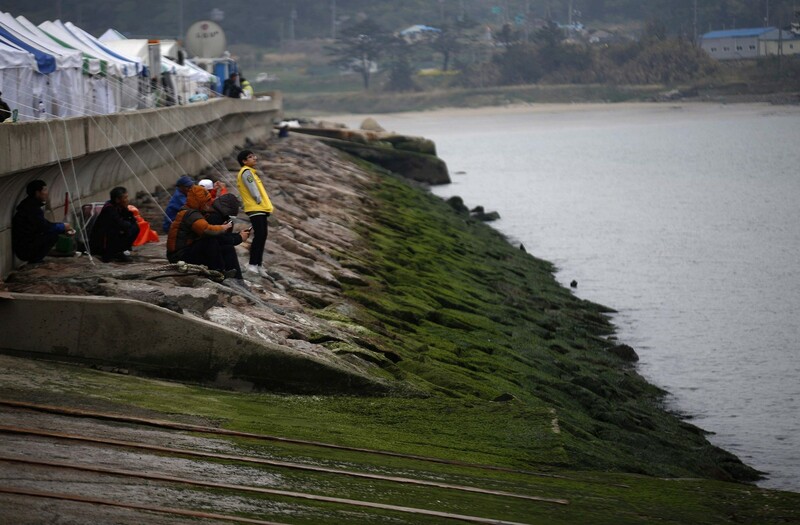 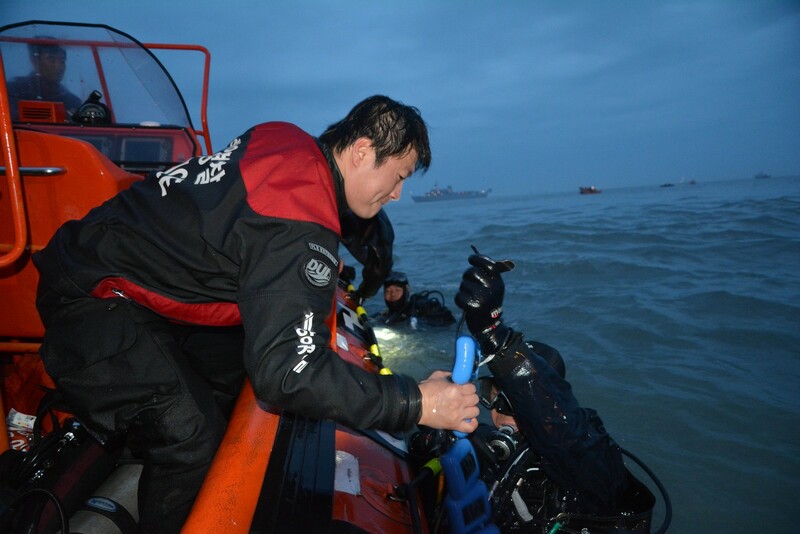 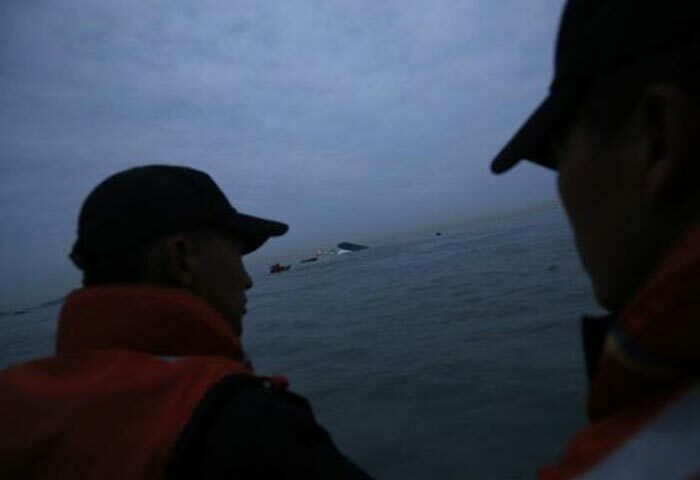 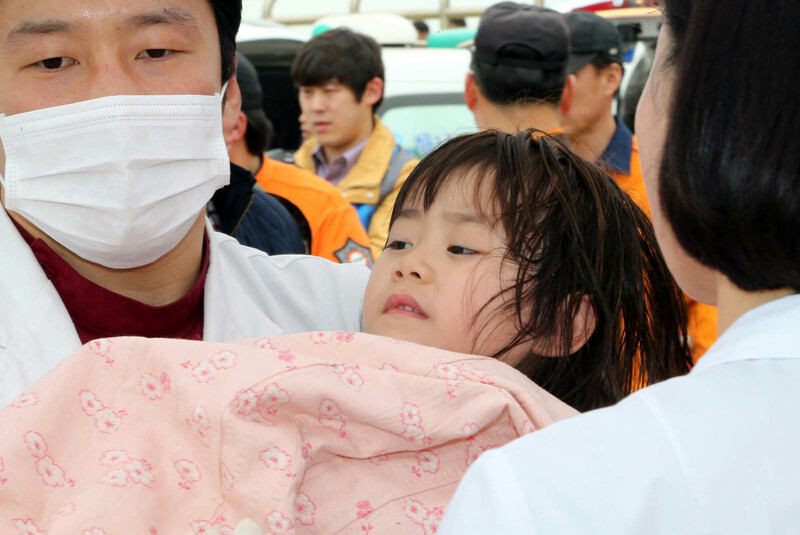 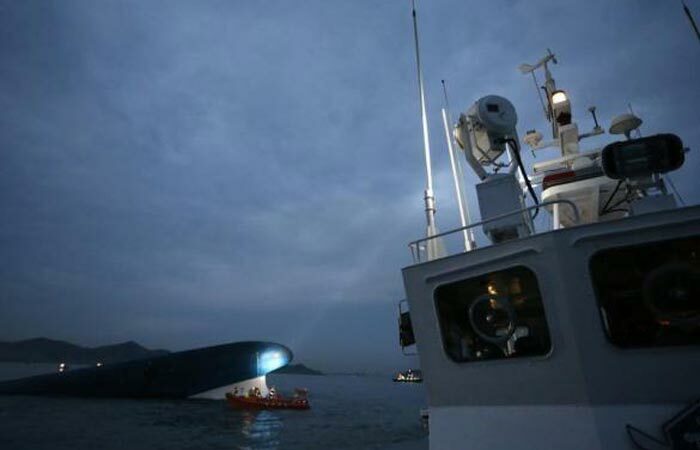 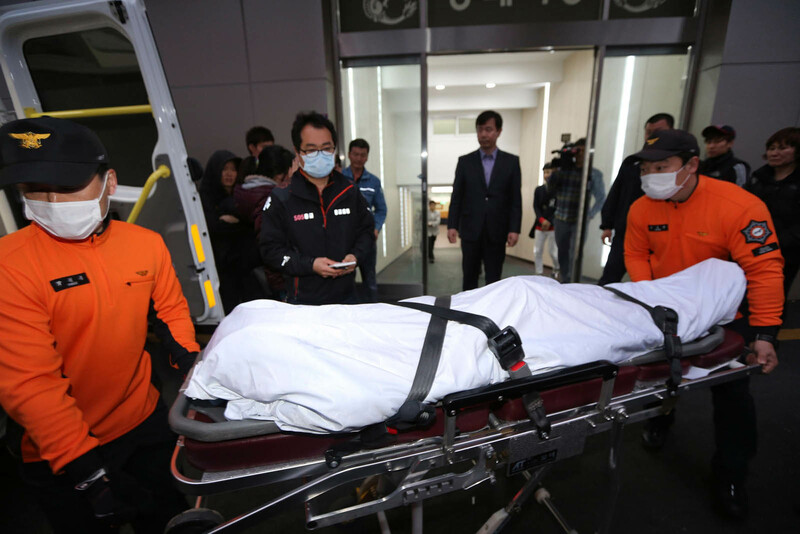 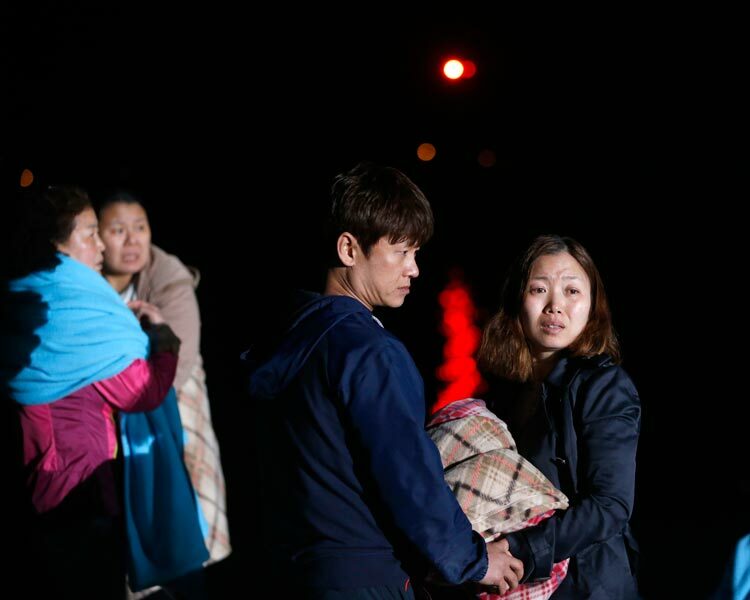 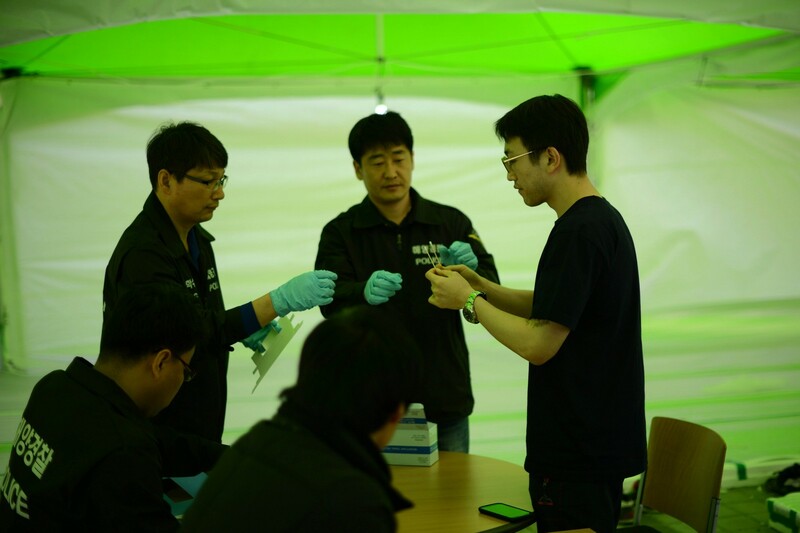 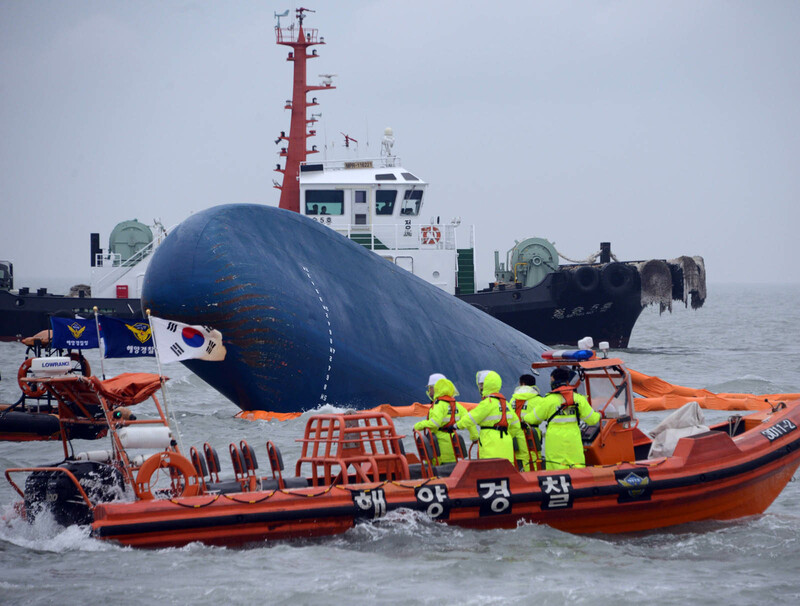 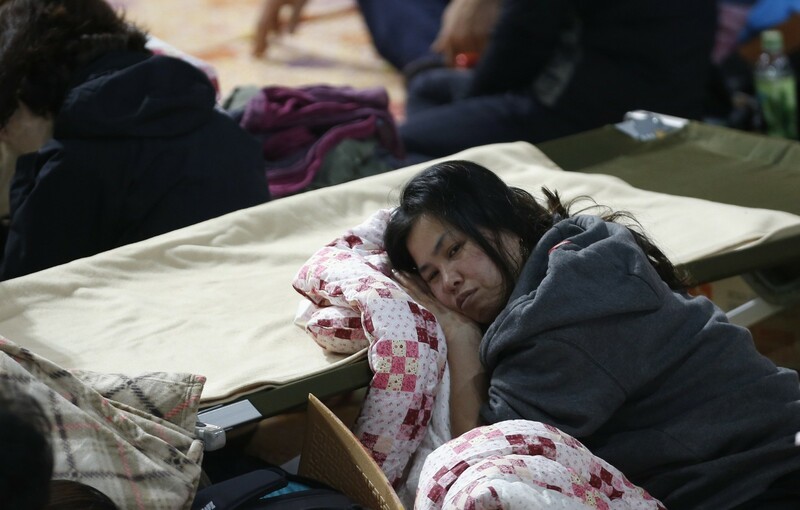 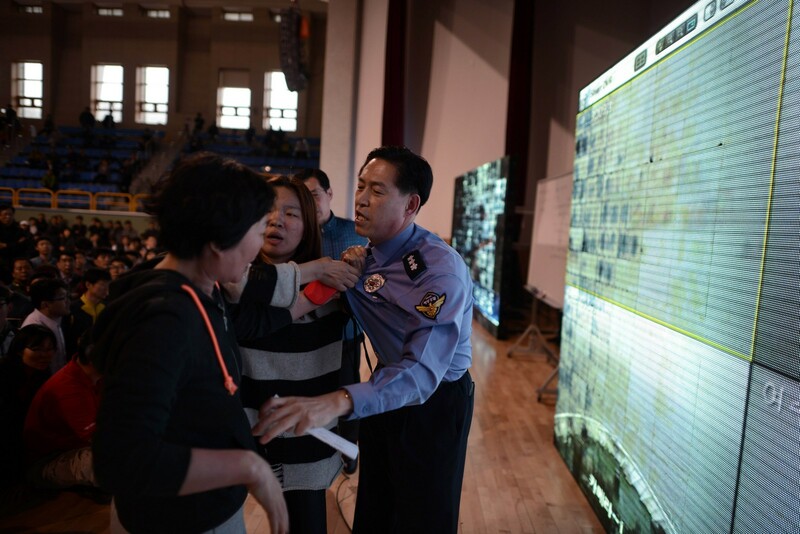 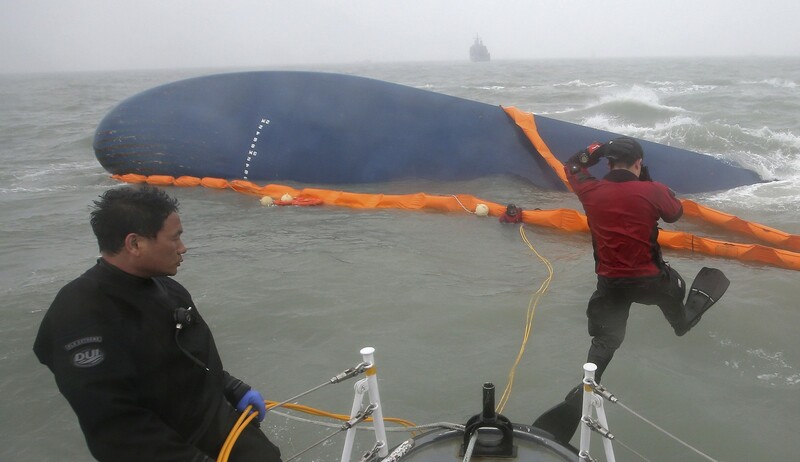 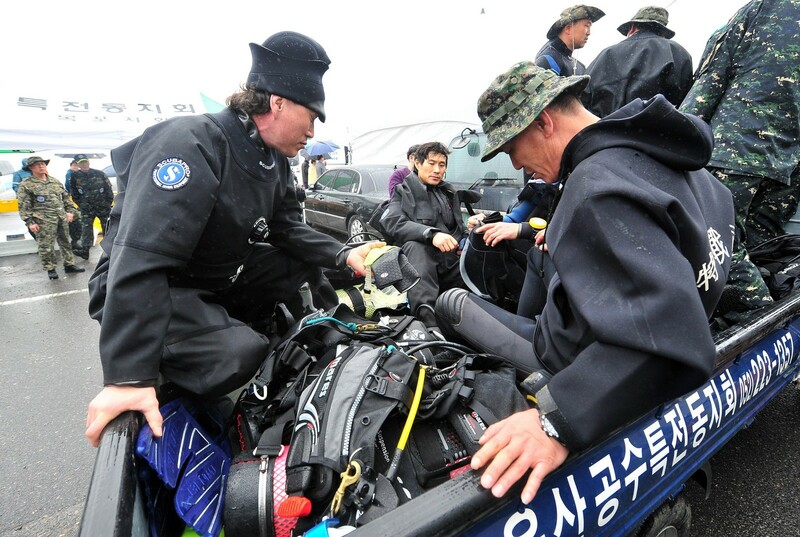 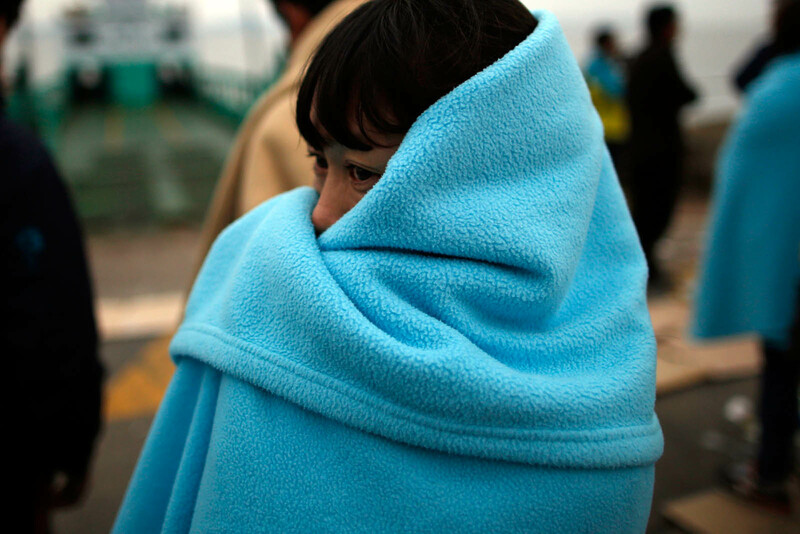 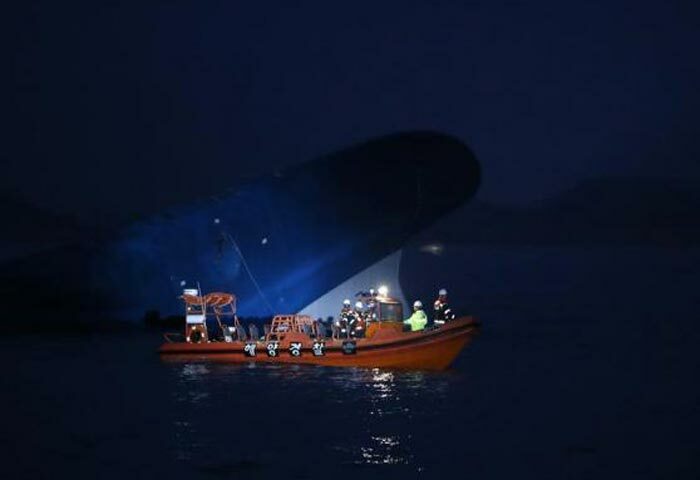 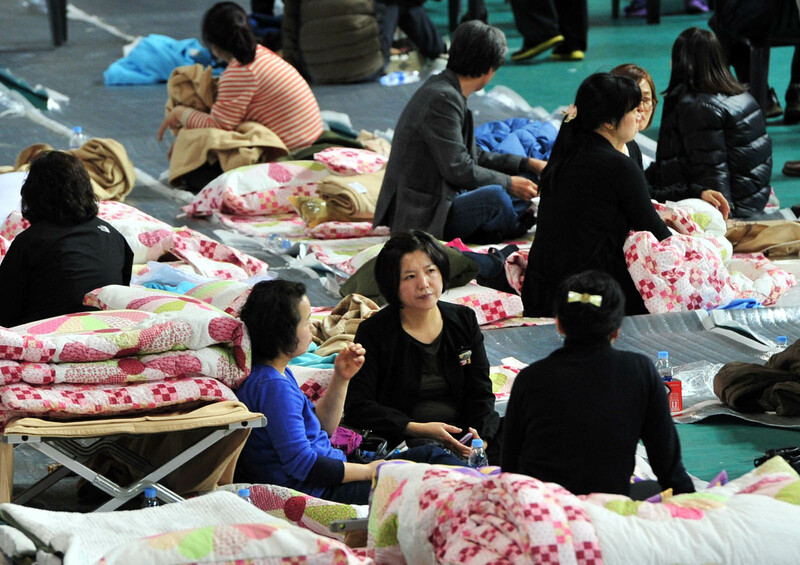 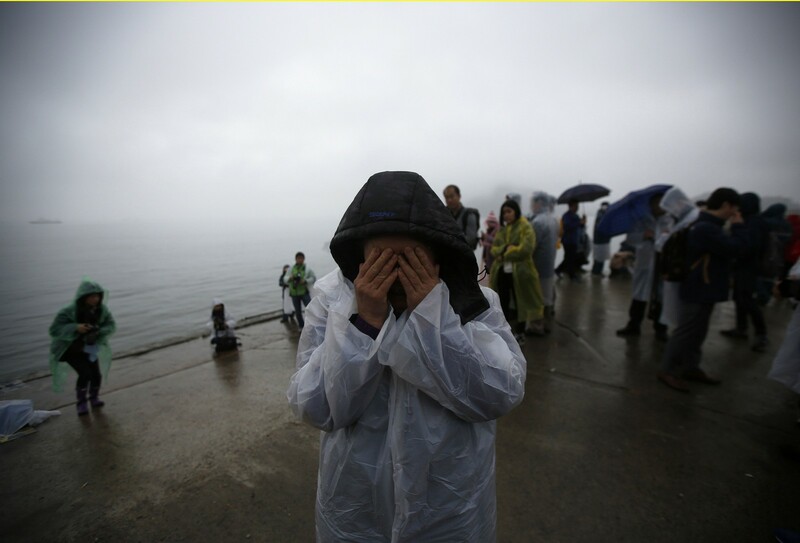 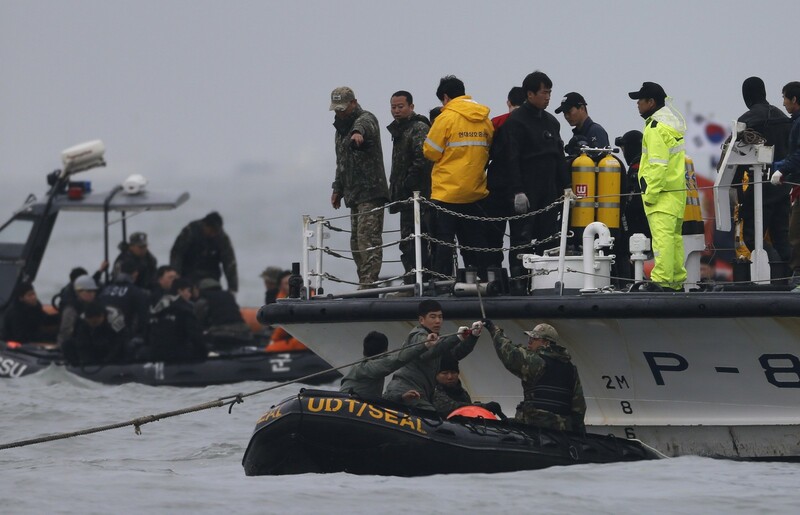 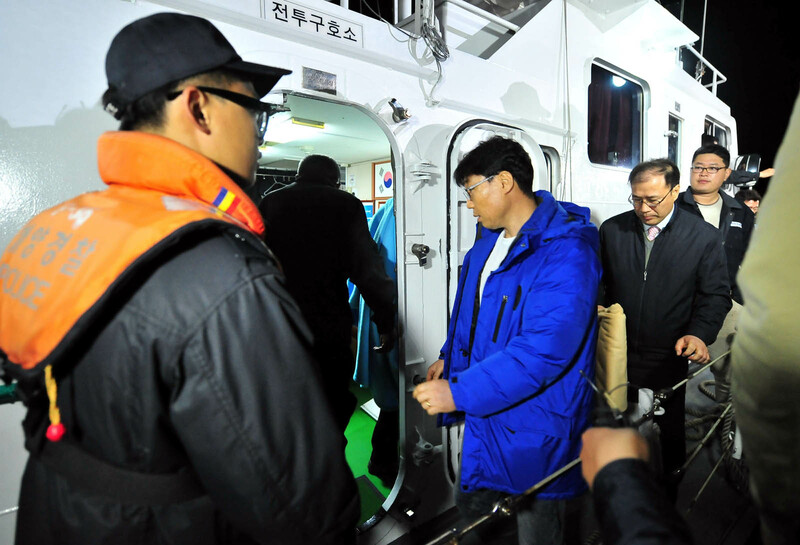 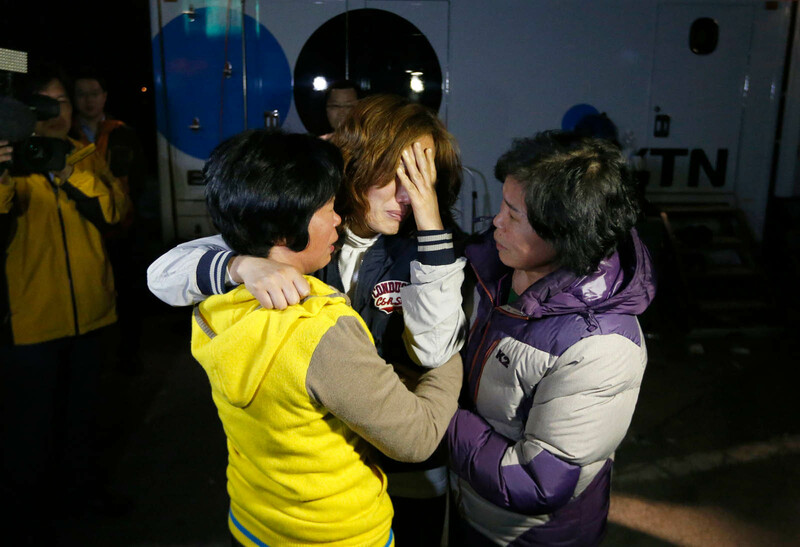 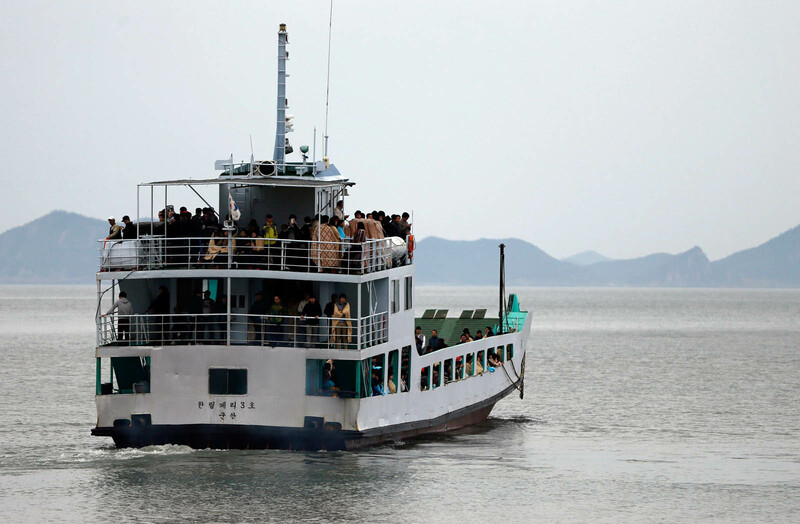 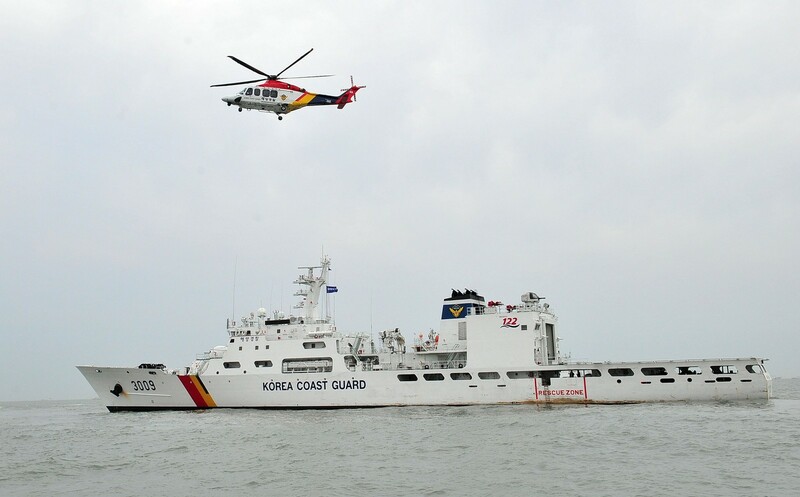 The ferry that sank off the nation's southern coast Wednesday with 475 passengers on board again brought home to us the lack of safety awareness prevalent in Korean society. 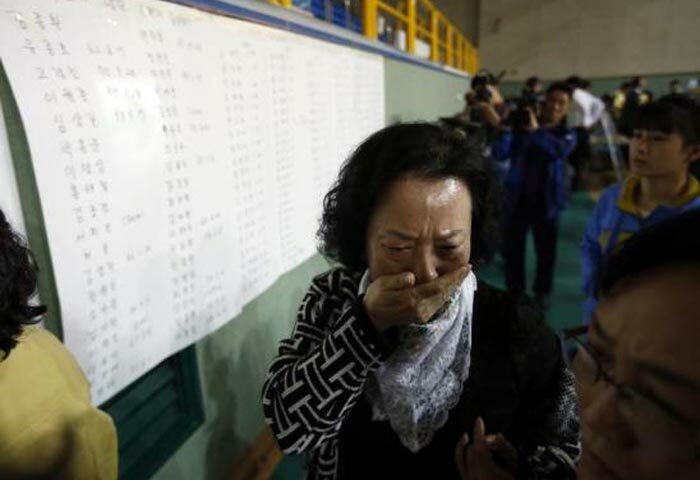 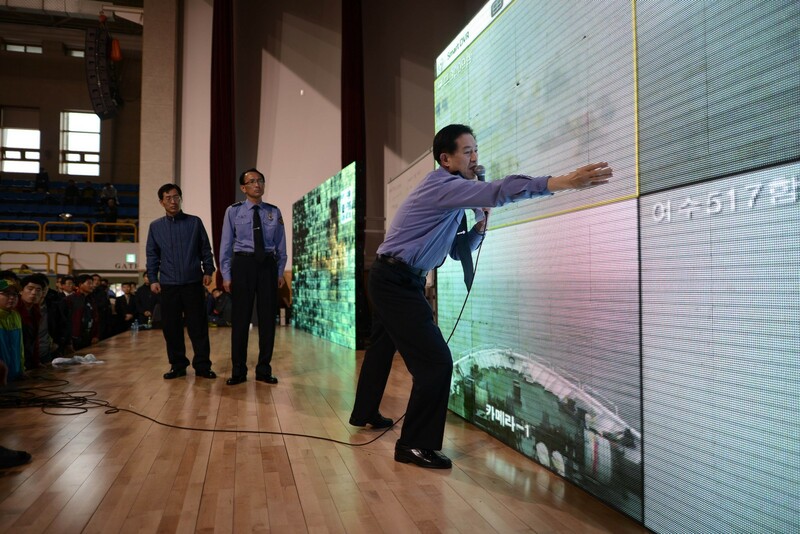 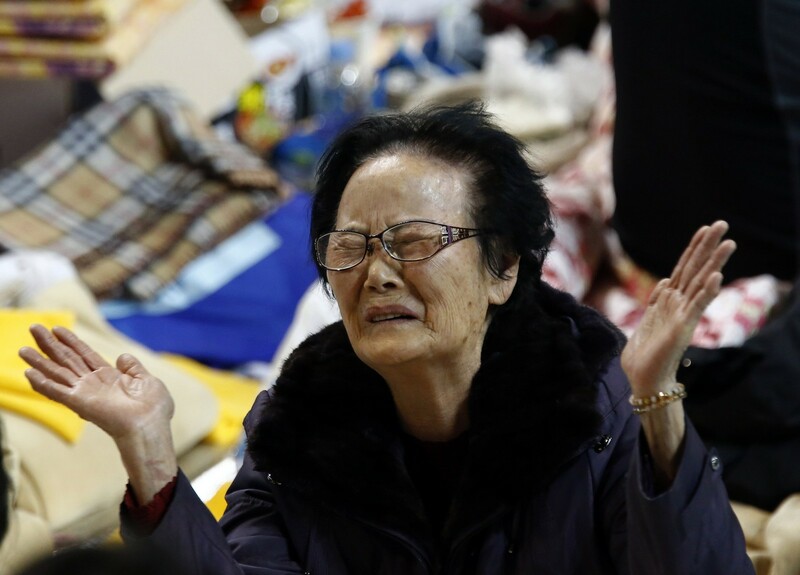 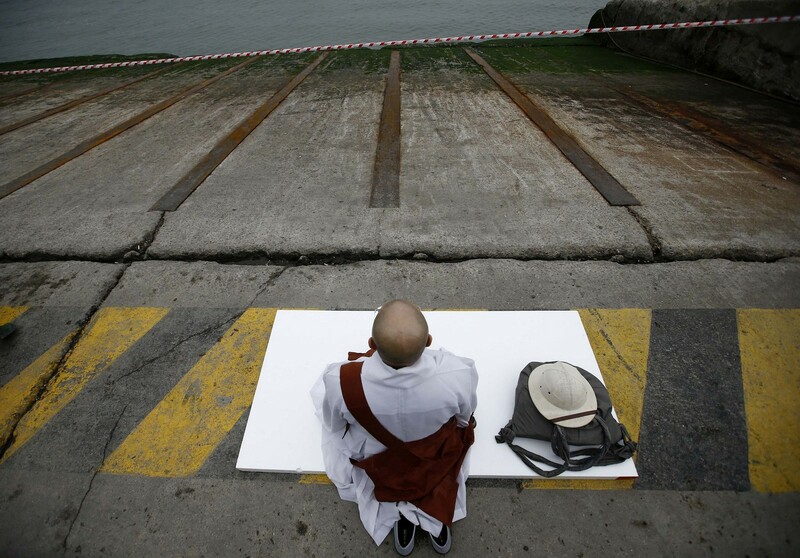 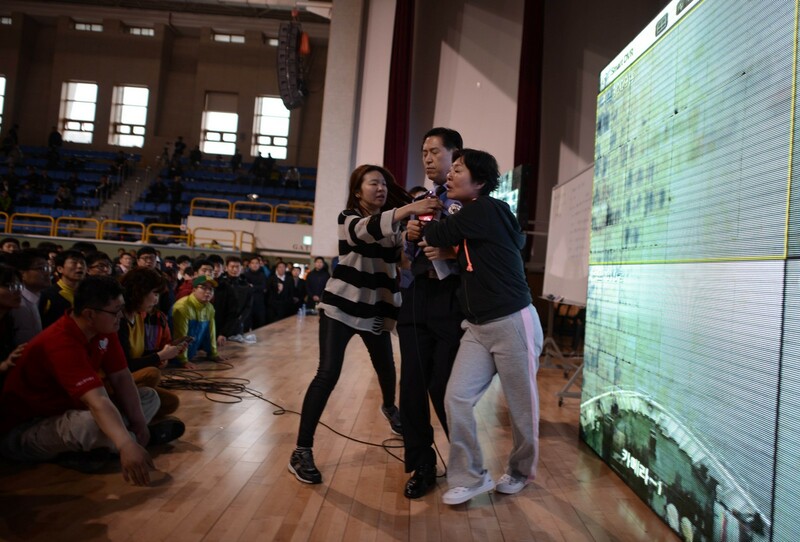 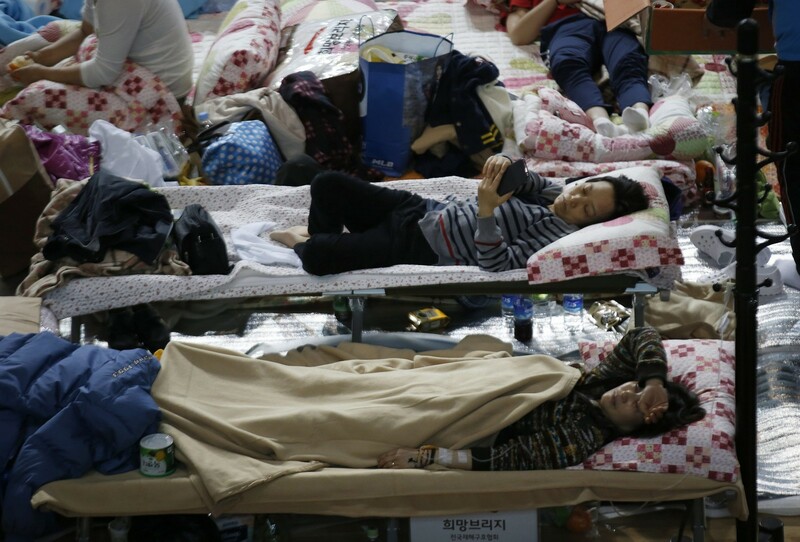 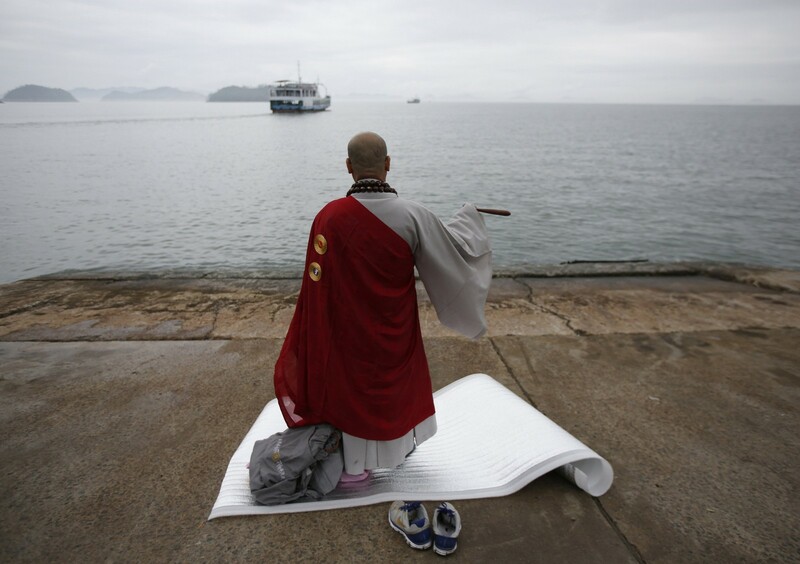 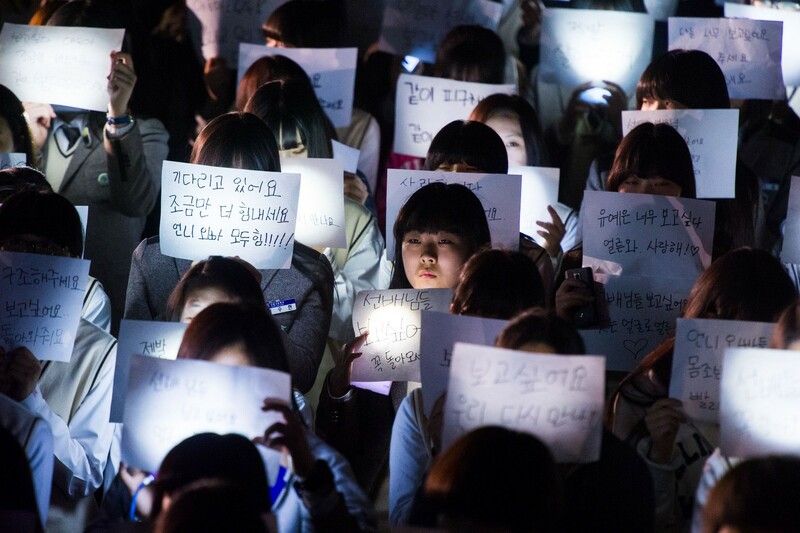 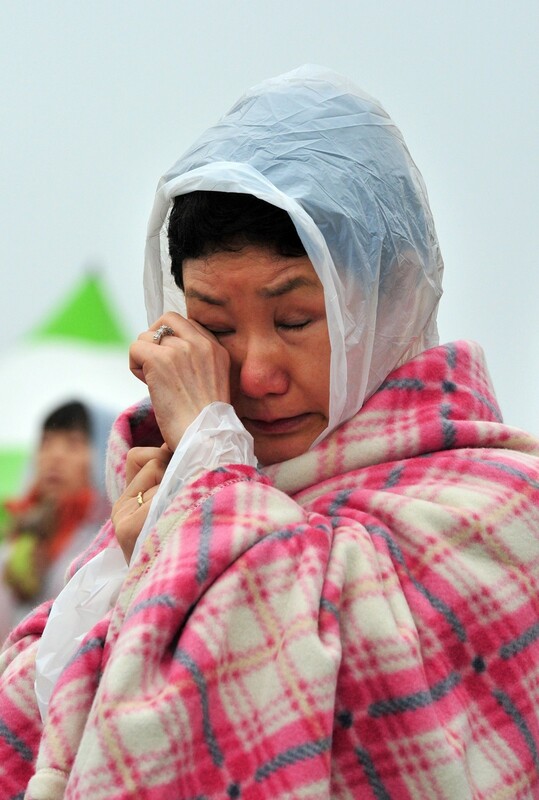 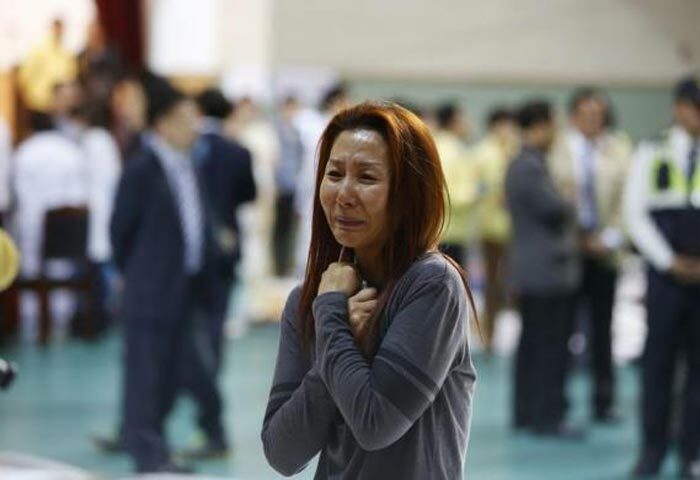 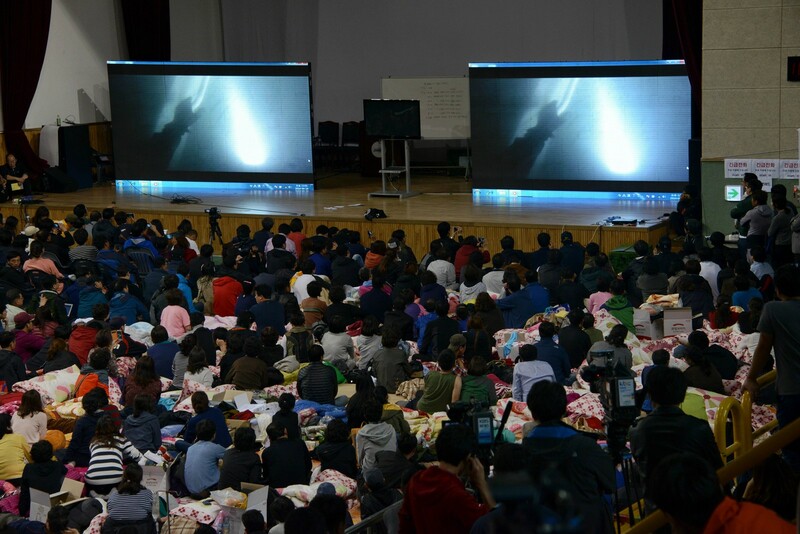 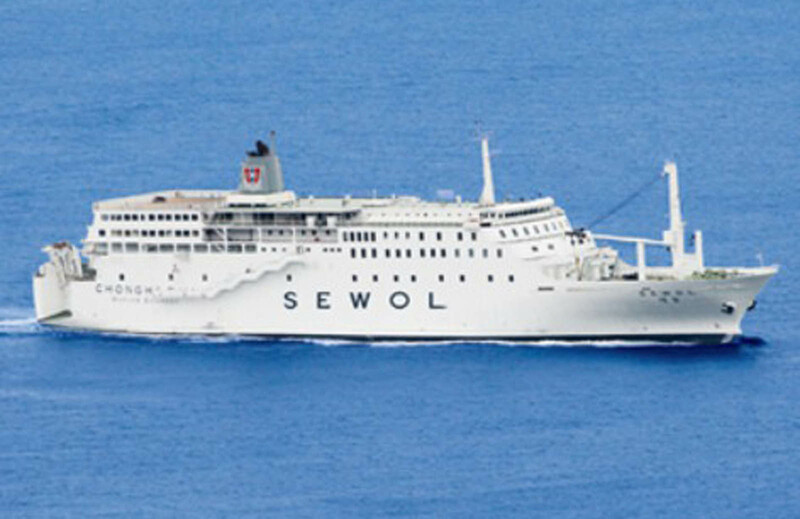 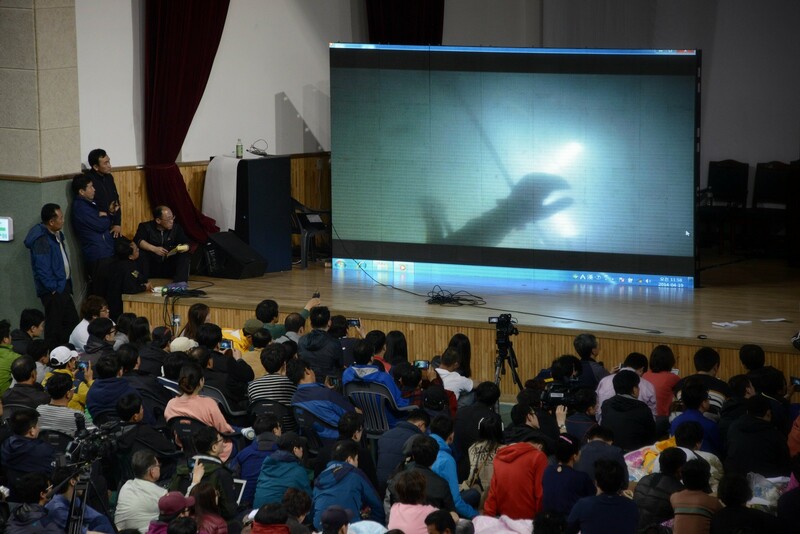 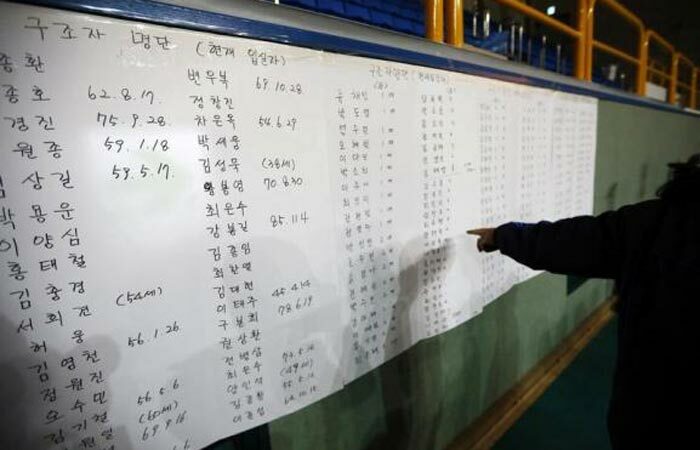 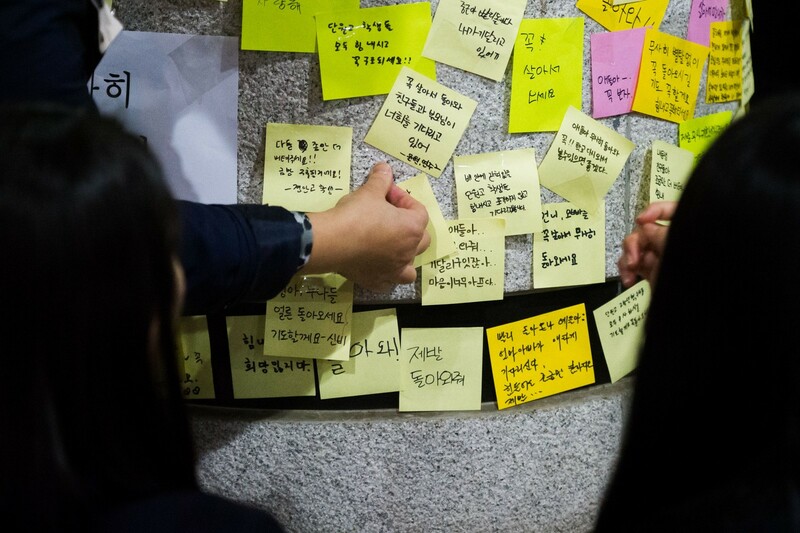 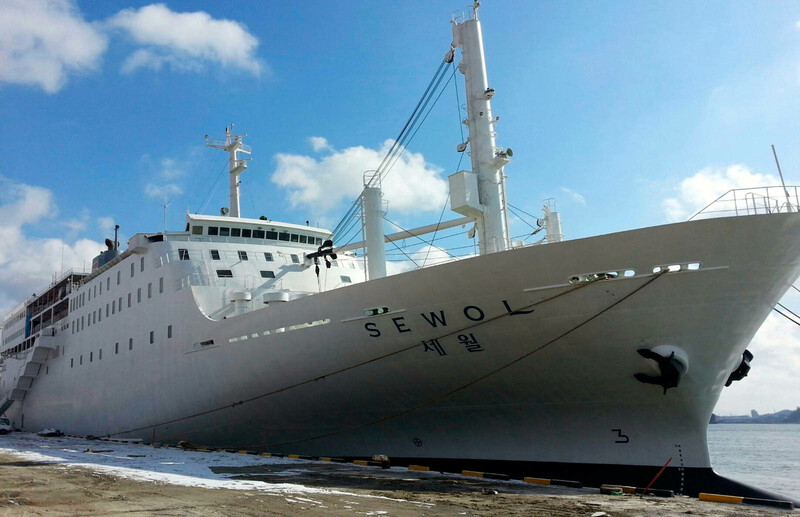 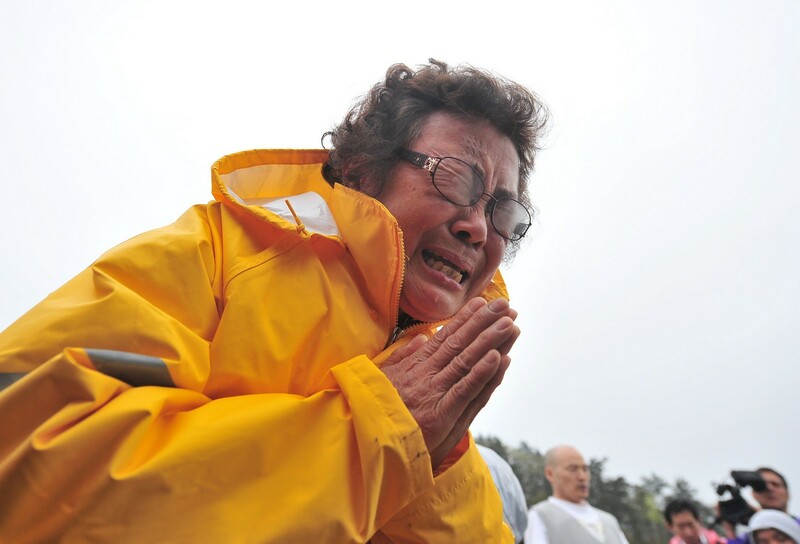 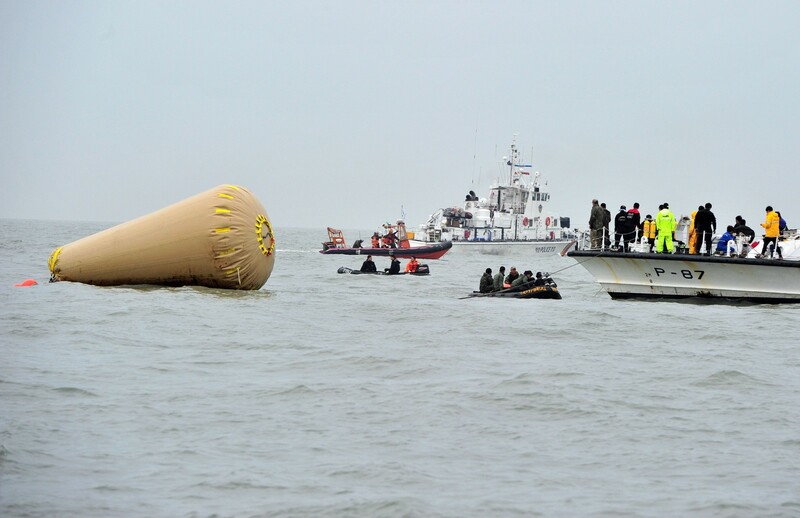 The main cause of the tragedy has yet to be determined but investigators suspect that the 6,325-ton ferry Sewol lost balance and listed rapidly after changing direction abruptly. 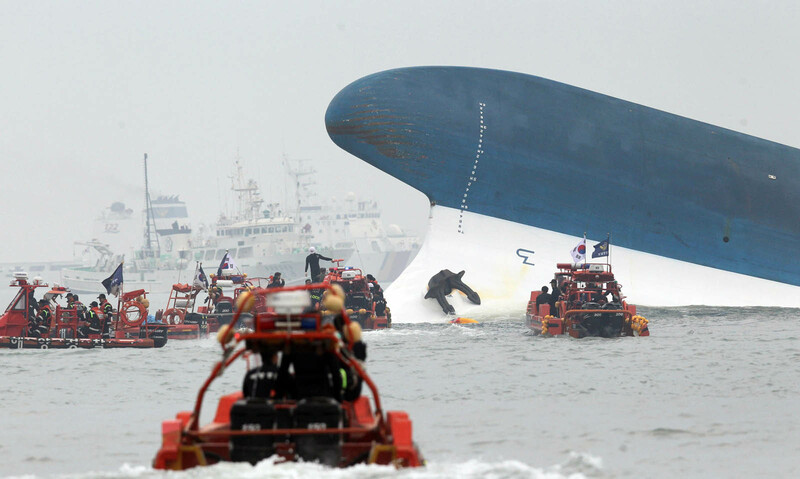 A ship tilts under the influence of inertia turns too quickly. 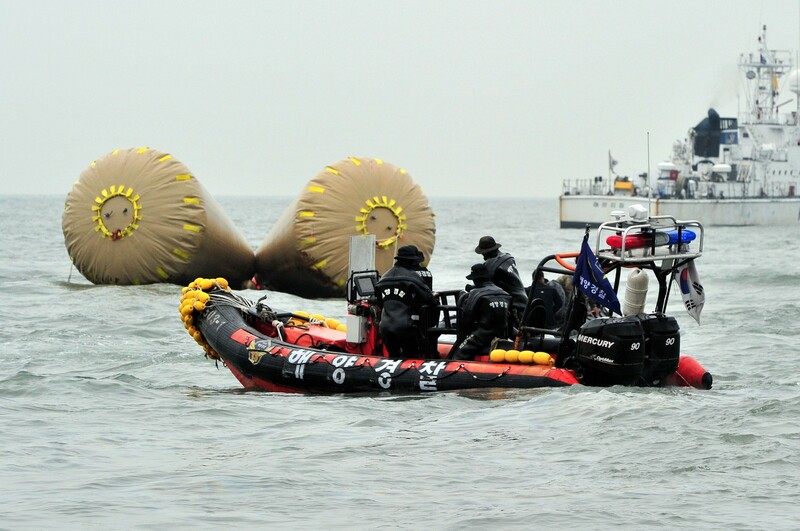 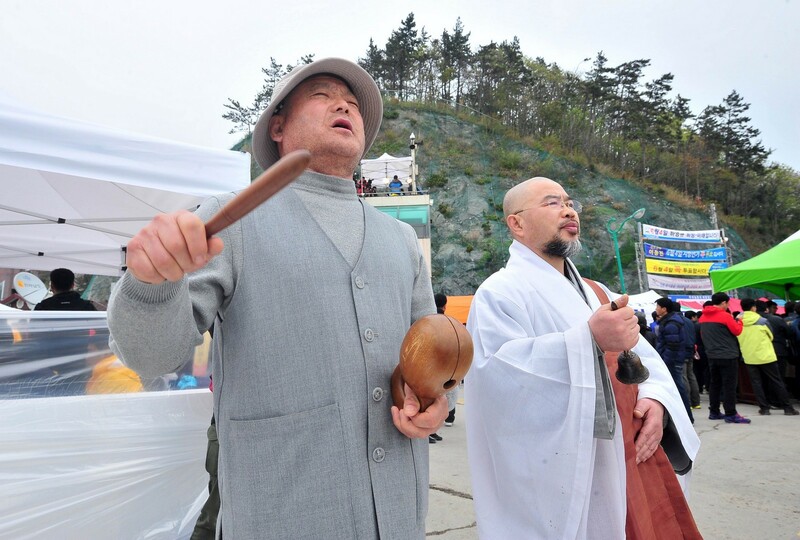 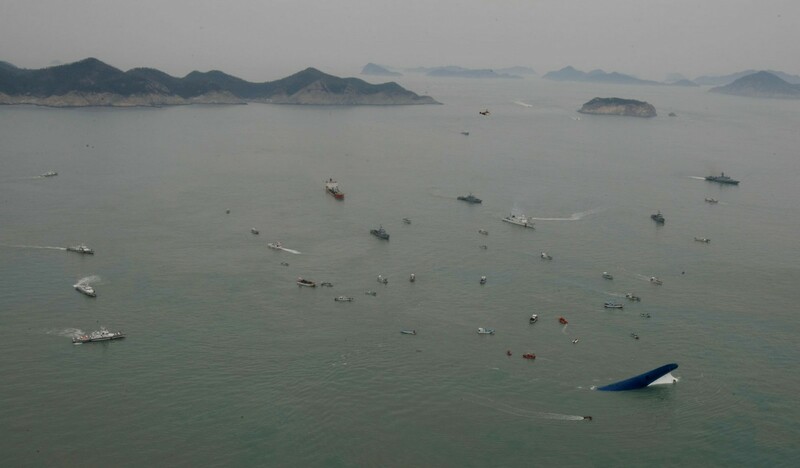 The site of the tragedy is where ships sailing from Incheon to Jejudo Island change direction. 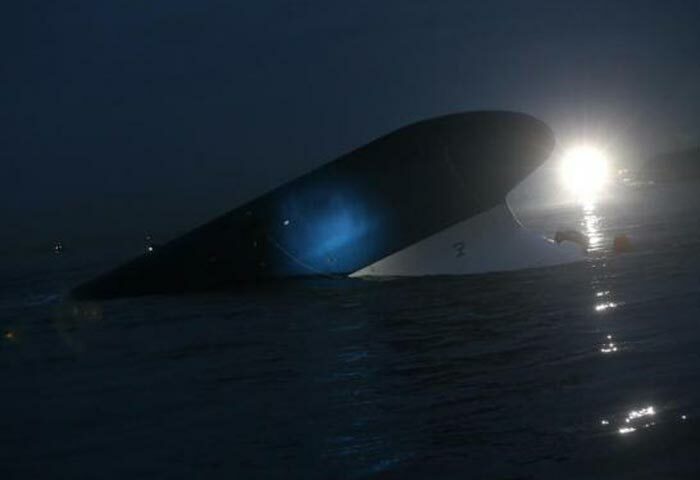 Investigators said that at the time of the accident, the ship was being navigated not by the captain but by a third mate with only one year of experience. 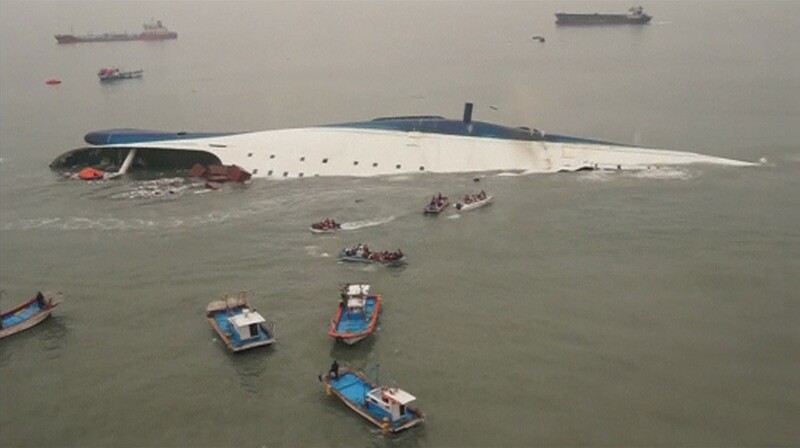 The inexperienced officer steered the ship on his own as the captain was not even in the steering room. 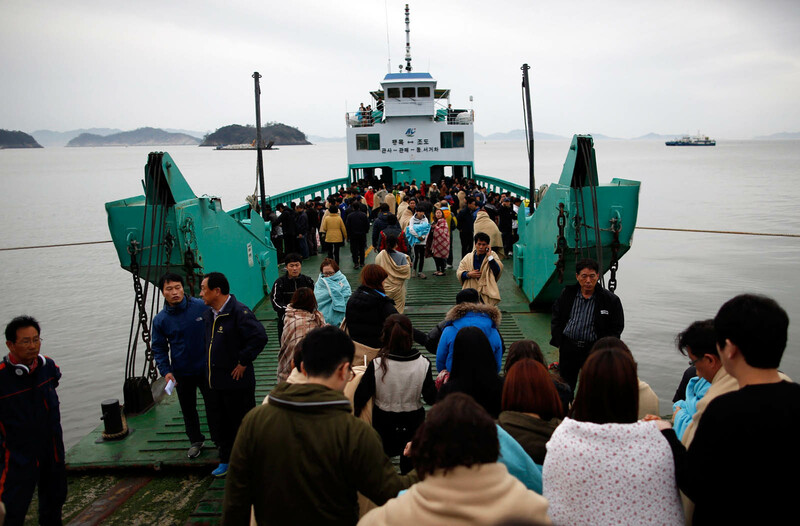 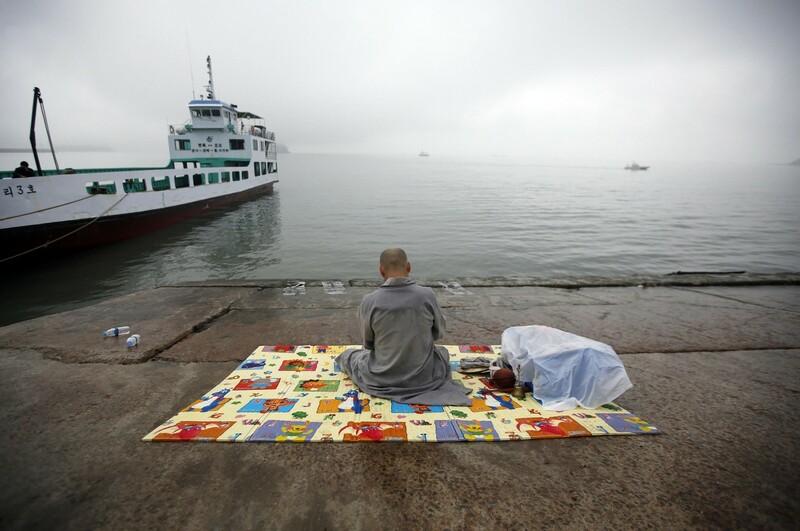 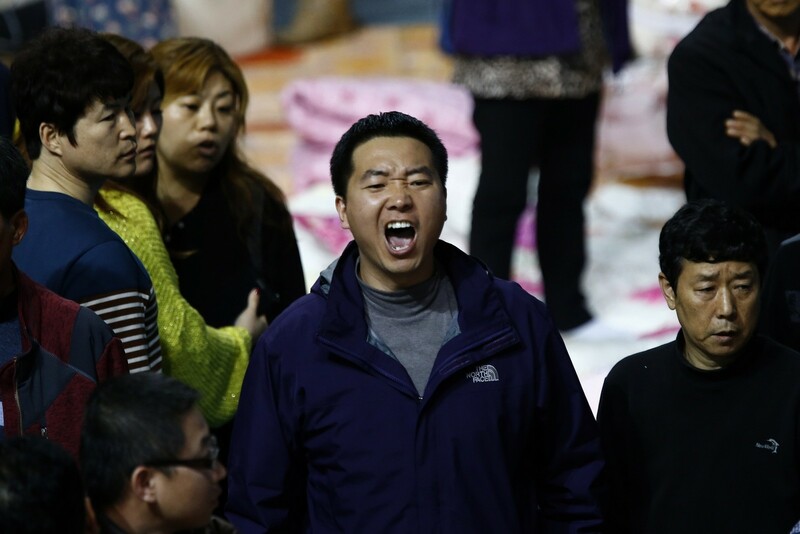 To make the matters worse, the ferry was carrying 180 vehicles and over 1,100 tons of cargo. 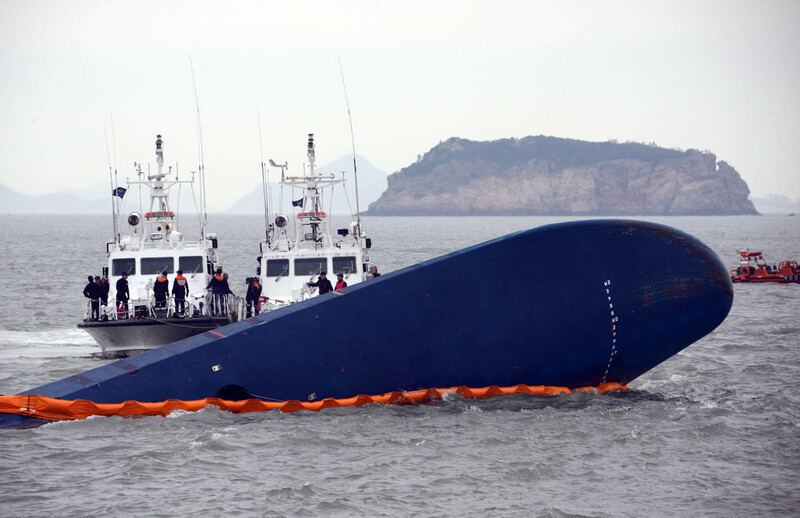 The sharp turn is suspected to have pushed the vehicles and cargo to one side, throwing the vessel further off balance. 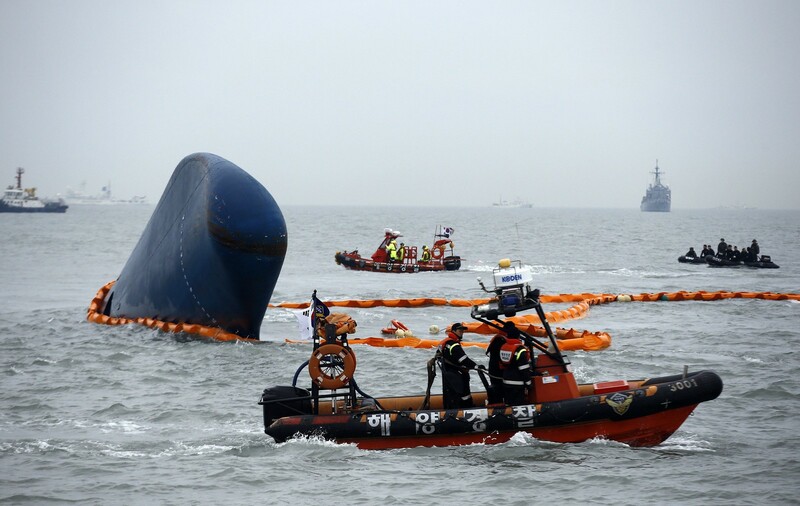 If the investigators' reasoning is correct, the crew's navigational error, which resulted from their neglect of the safety of passengers and the ship, was the primary cause of the disaster. 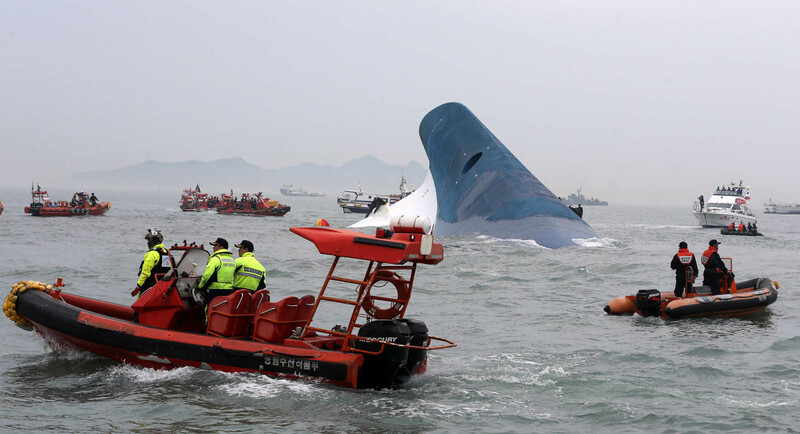 The crew deserves more blame for the tragedy, as their misguided and irresponsible behaviour sharply increased the death toll. 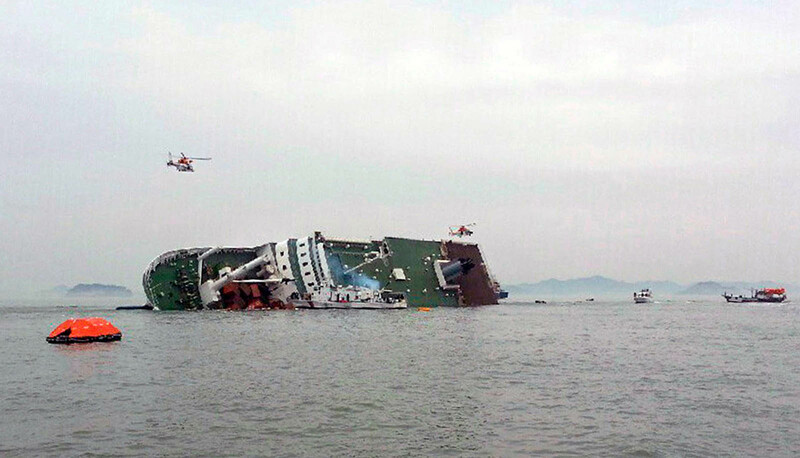 It took more than two hours for the ship to sink after beginning to tilt. 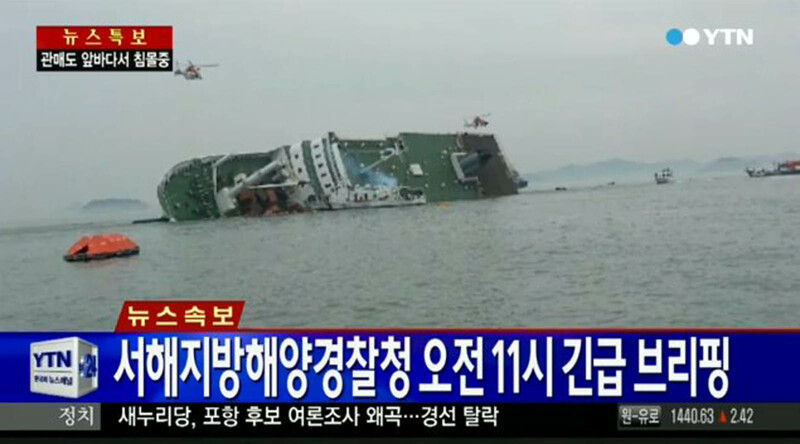 This means the passengers, mostly high school students on a school field trip, had enough time to escape. 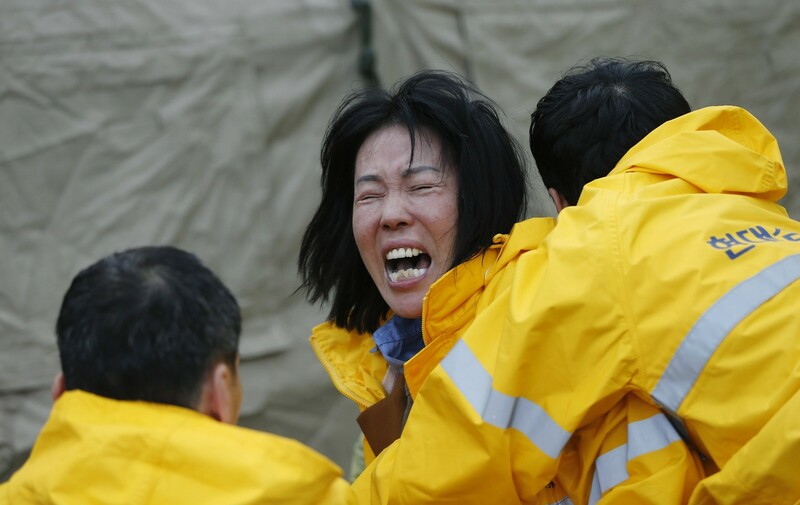 But the crew repeatedly told them to stay in their cabins, even after water began to gush in. 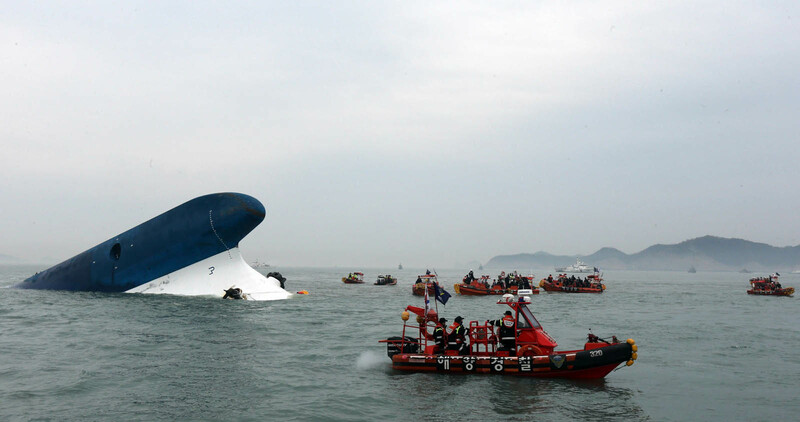 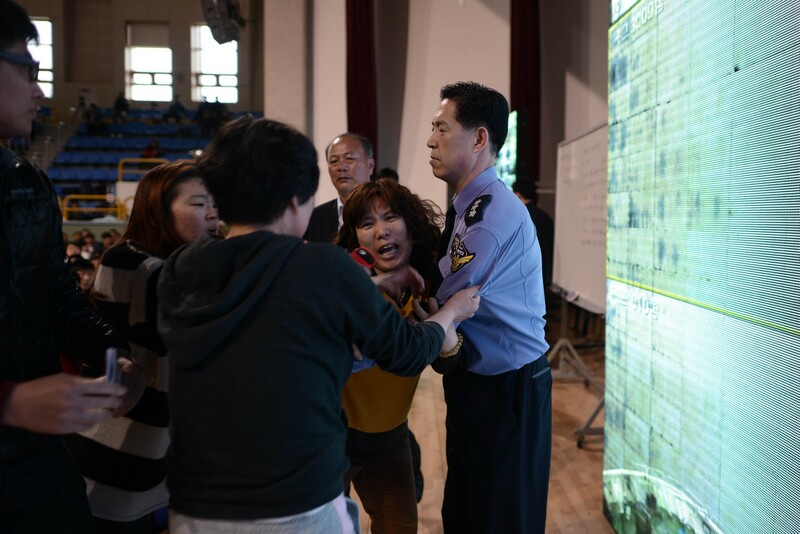 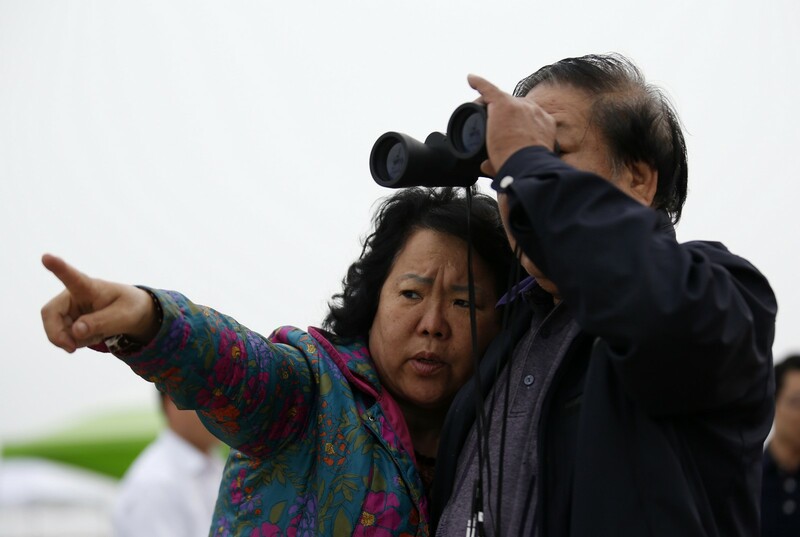 Survivors said many passengers followed the crew's ill-considered instructions. When the crew finally told them to leave the boat, it was already too late. 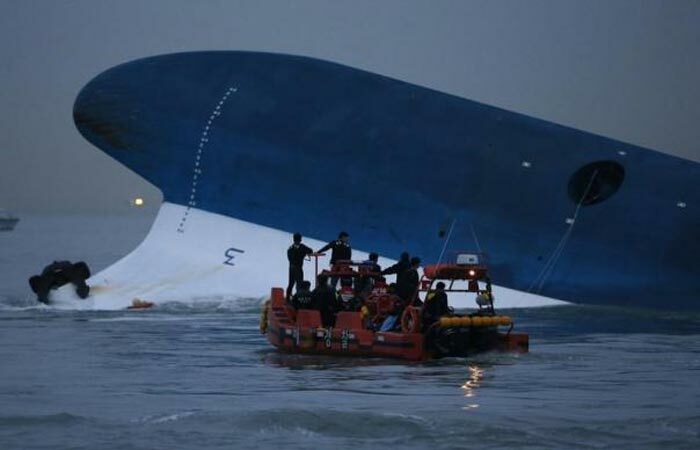 Passengers in the cabins could not move because the ship was too tilted. 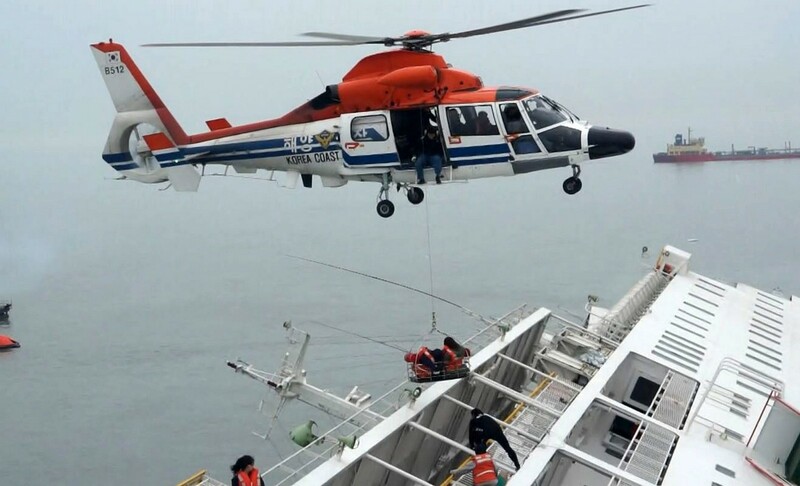 Furthermore, the crew did not follow the emergency safety manual at all. 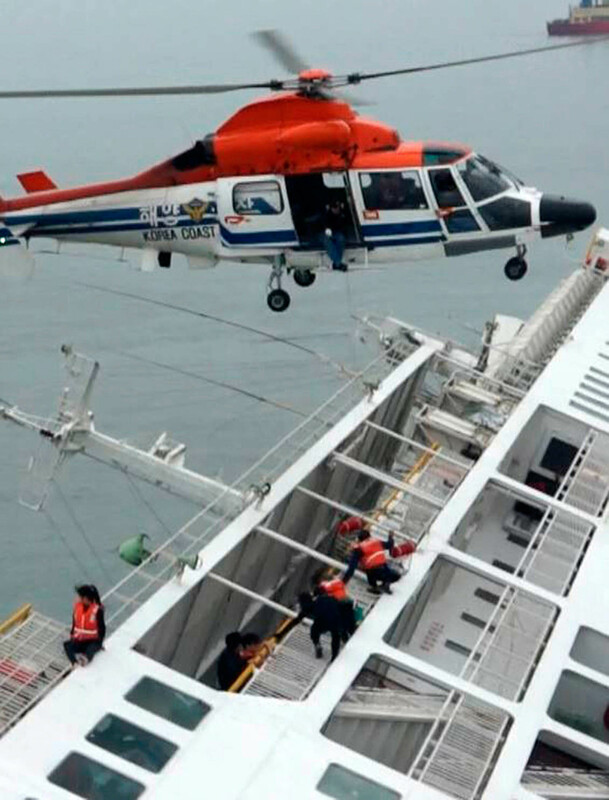 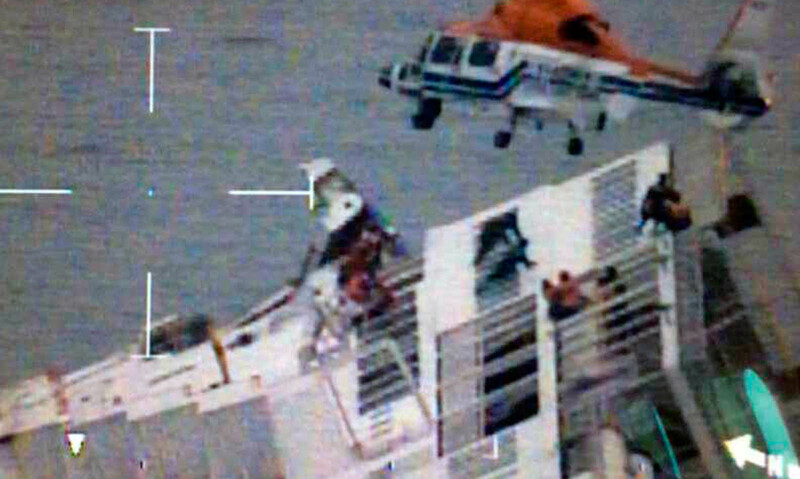 In an emergency, the manual tells the captain to lead the crew in rescue efforts. 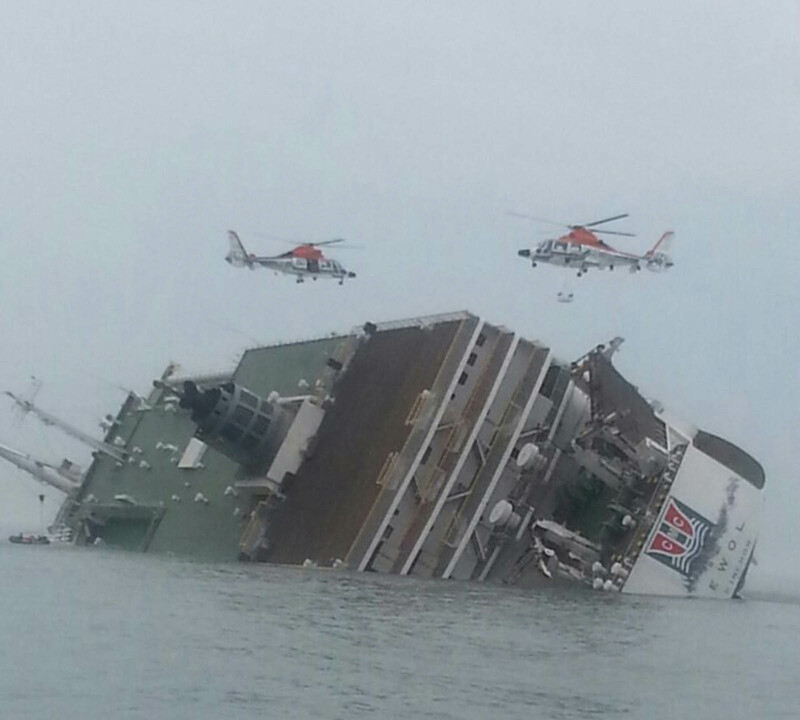 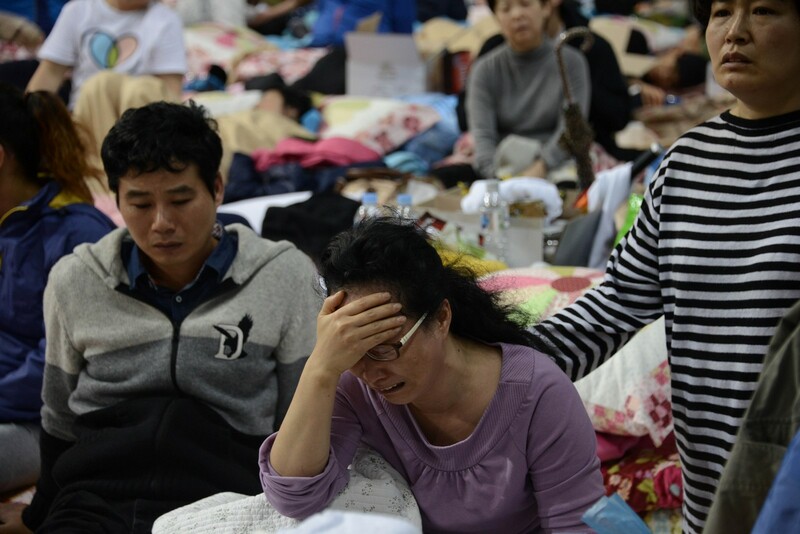 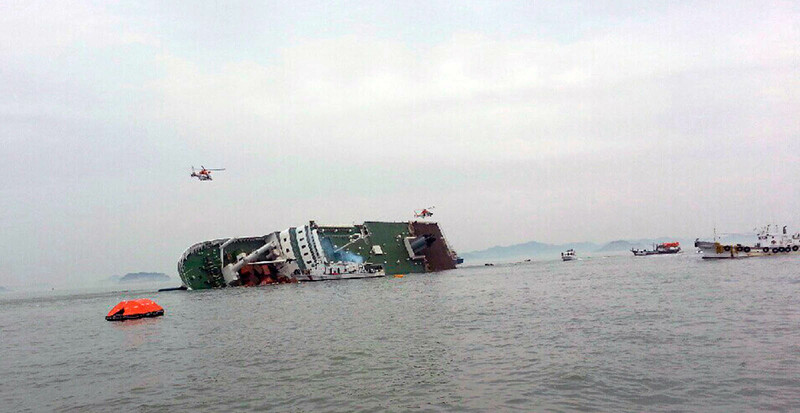 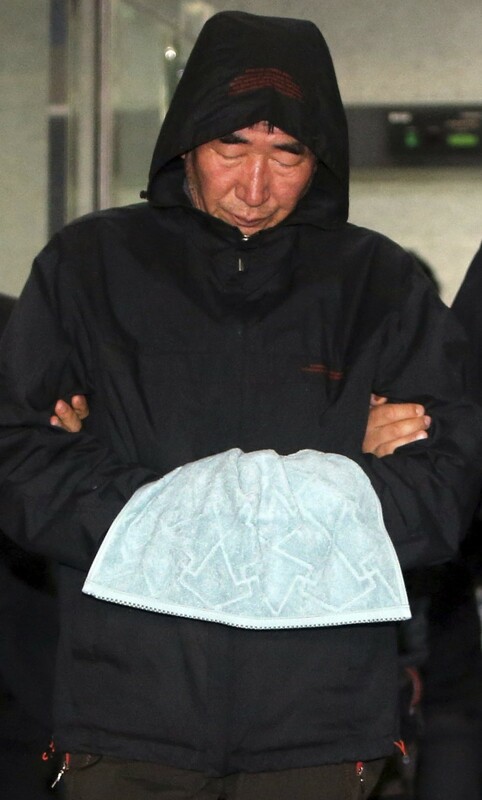 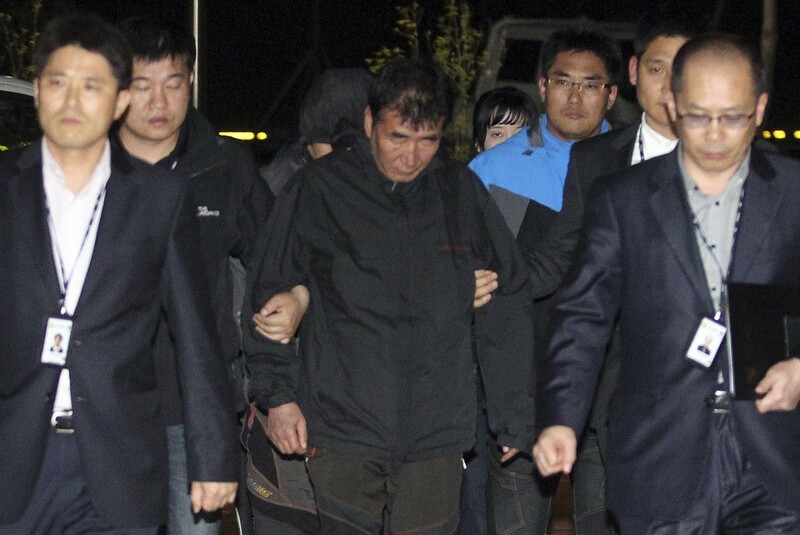 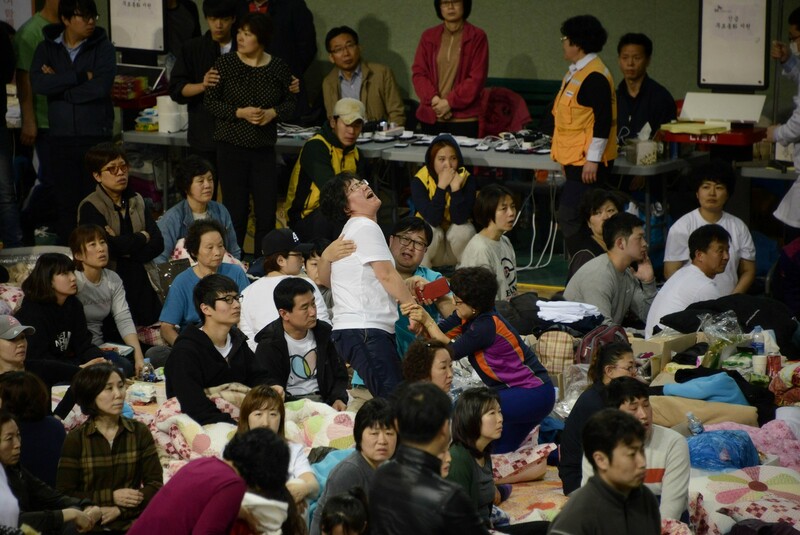 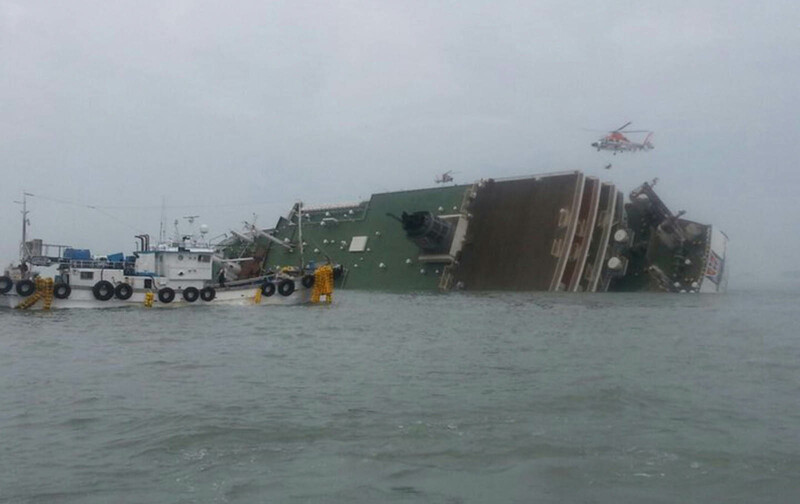 Yet the captain of the Sewol allegedly abandoned the ship first, leaving many passengers in danger. 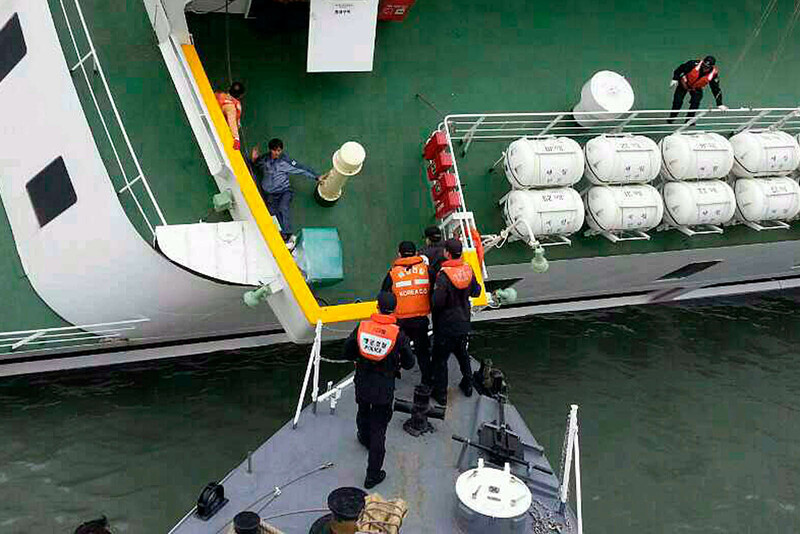 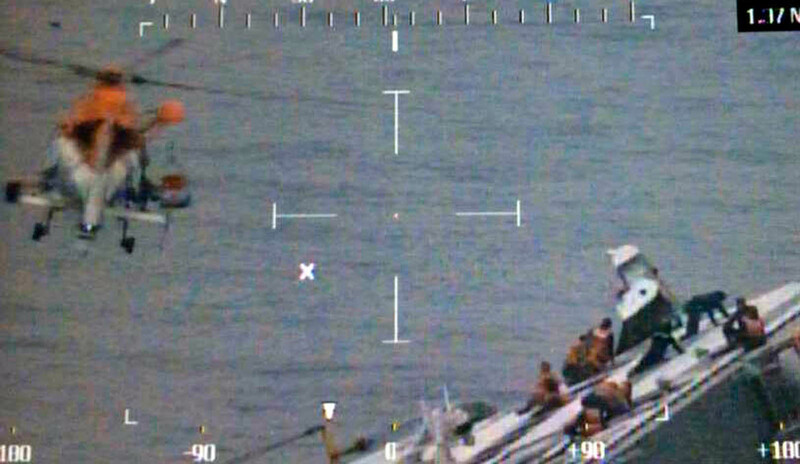 Prosecutors are seeking an arrest warrant against the captain as abandoning a ship in danger constitutes a breach of the current maritime navigation code. 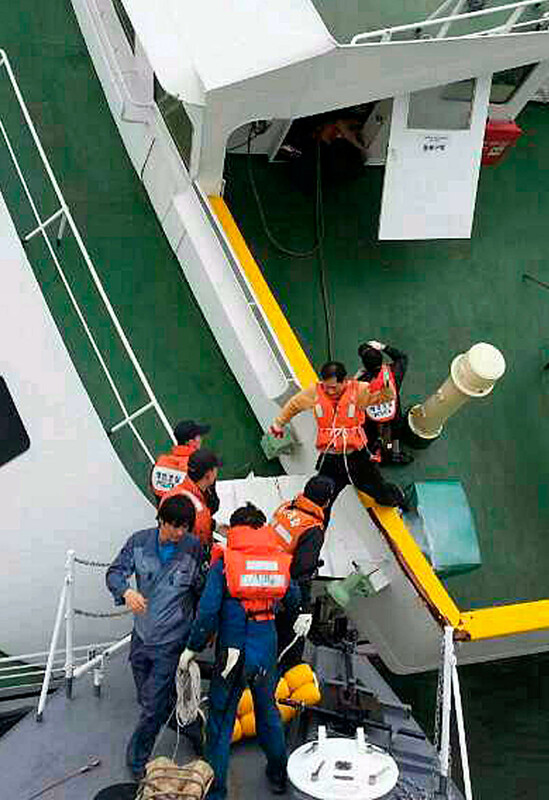 The crew's lamentable behaviour illustrates they did not practice emergency safety drills. 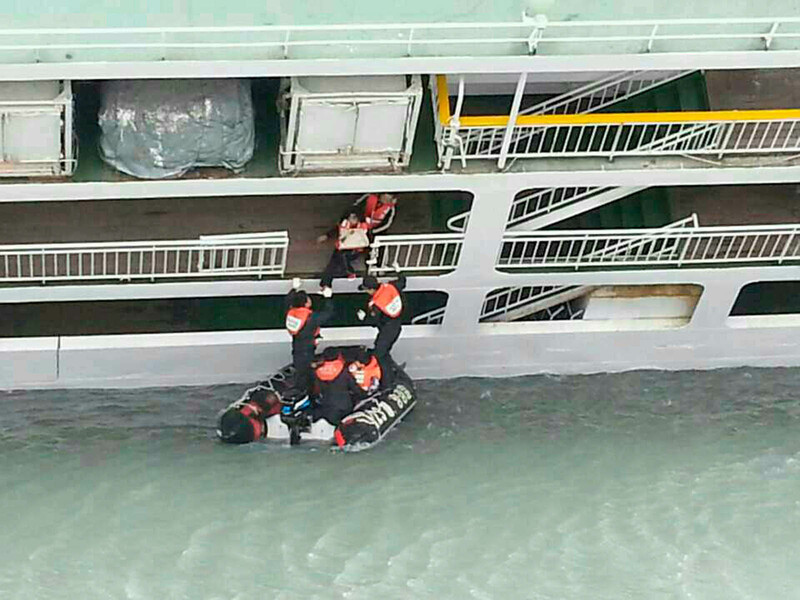 They did not check safety equipment either, as demonstrated by the fact that only one of the 46 lifeboats attached to the ship was usable. 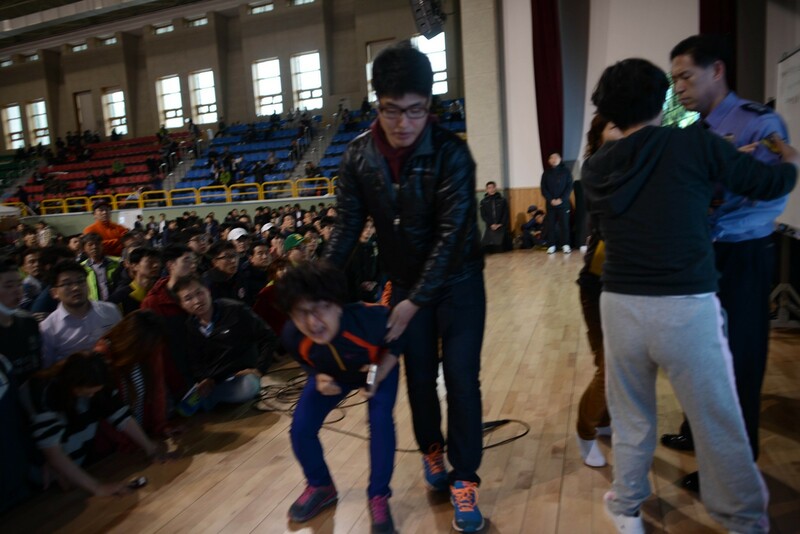 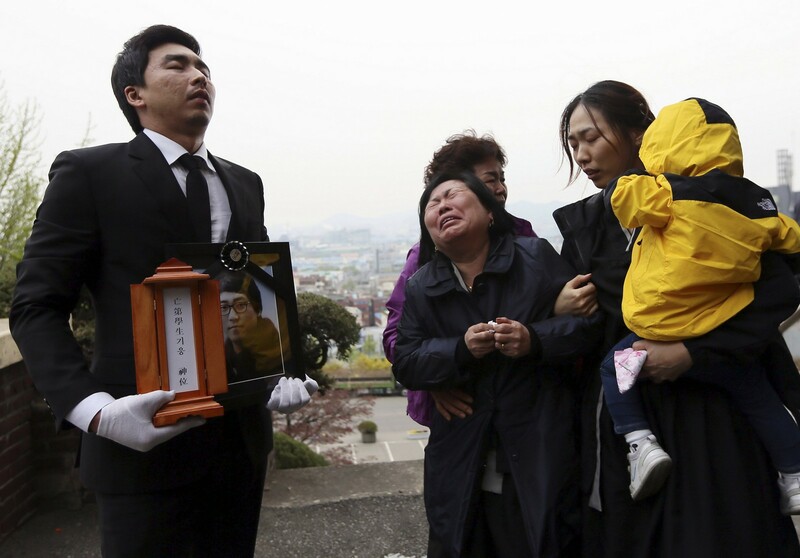 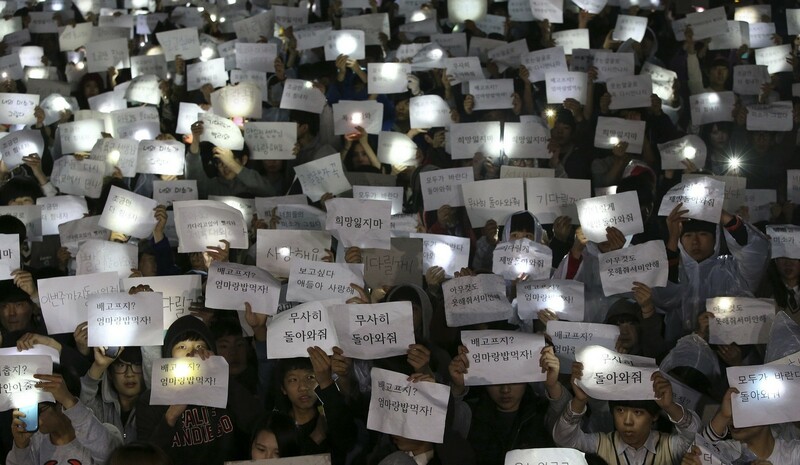 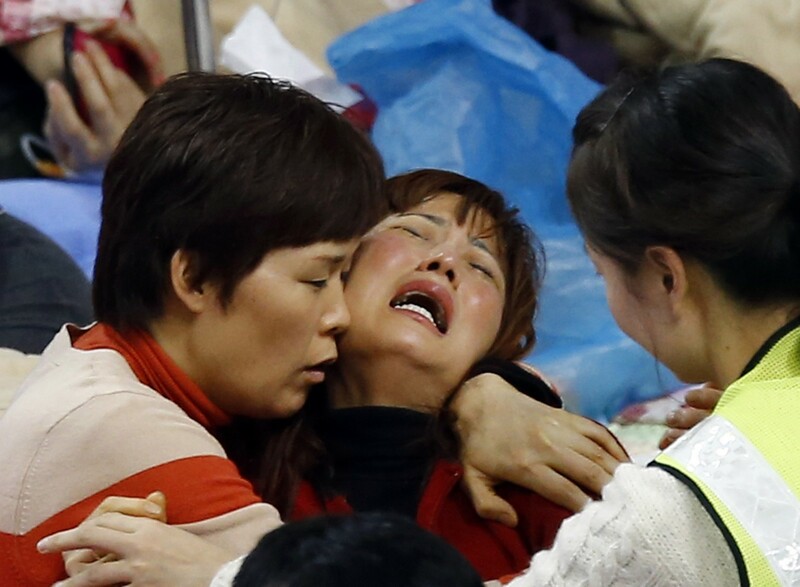 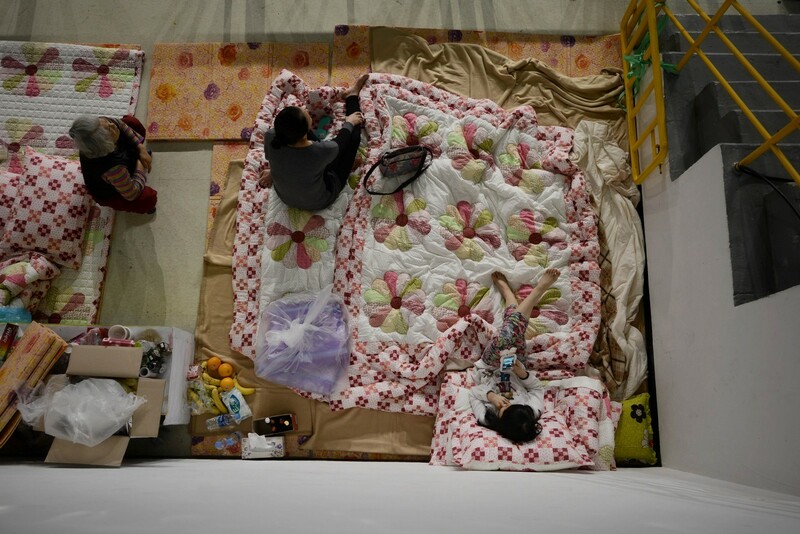 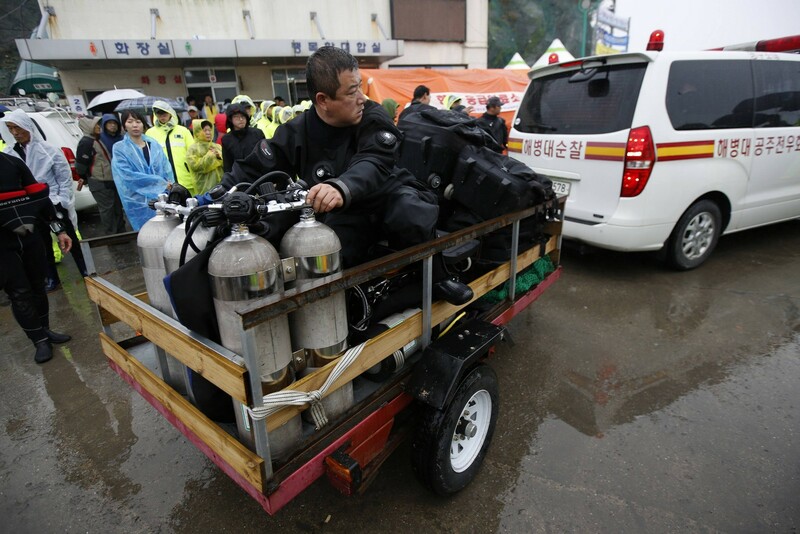 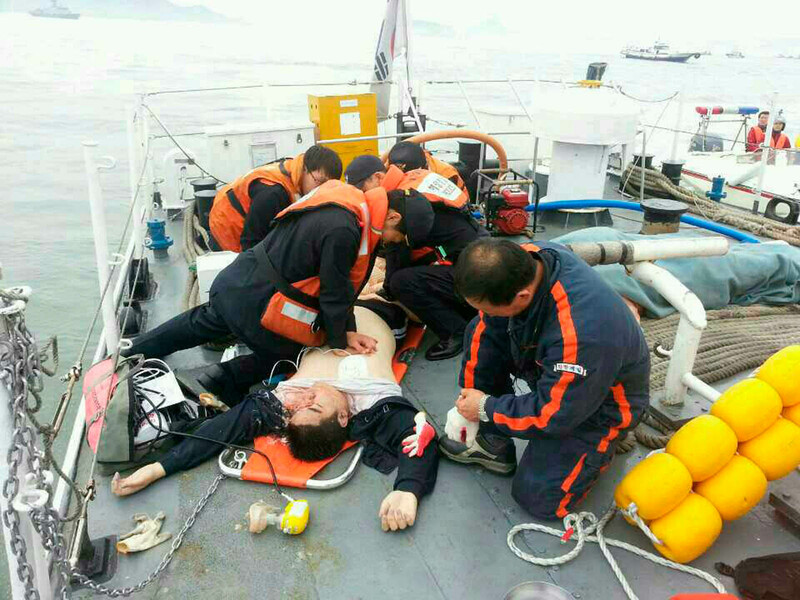 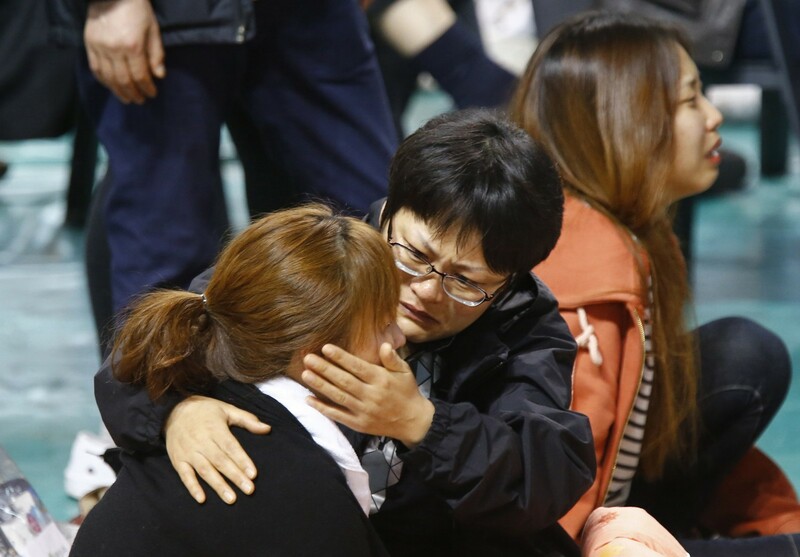 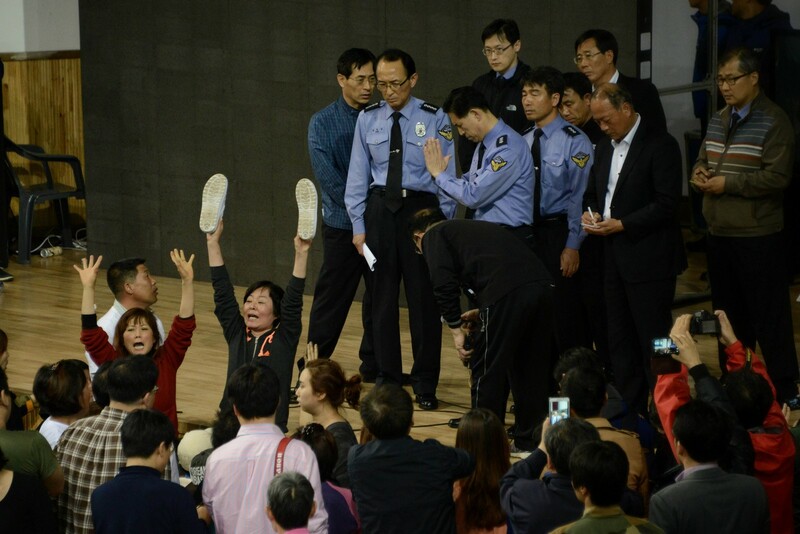 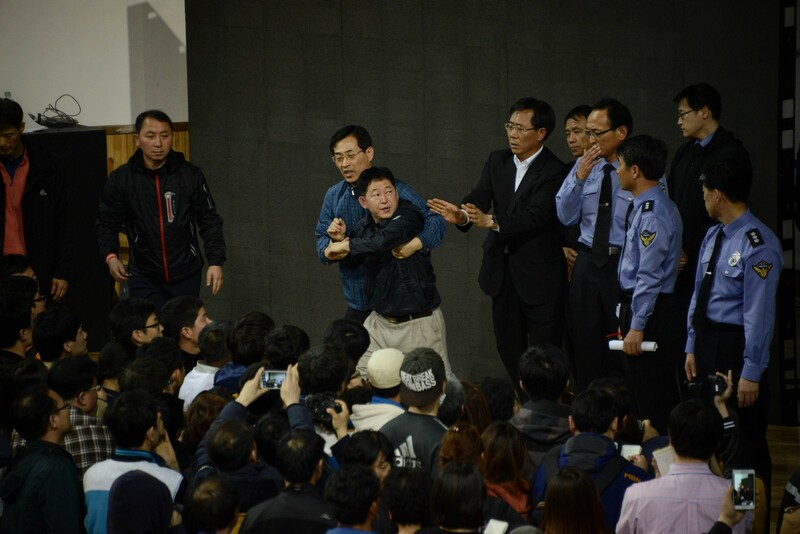 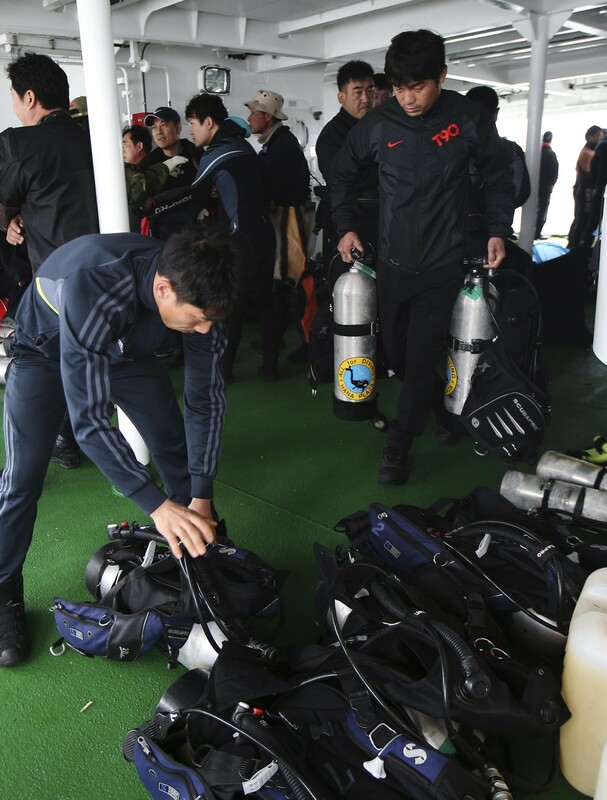 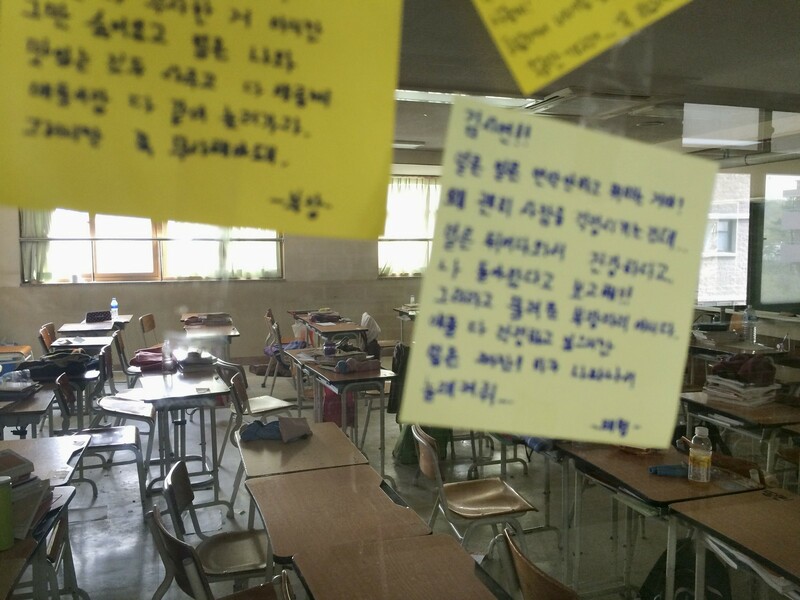 All this vividly shows the woeful lack of a "safety first" mindset among the Sewol crew. 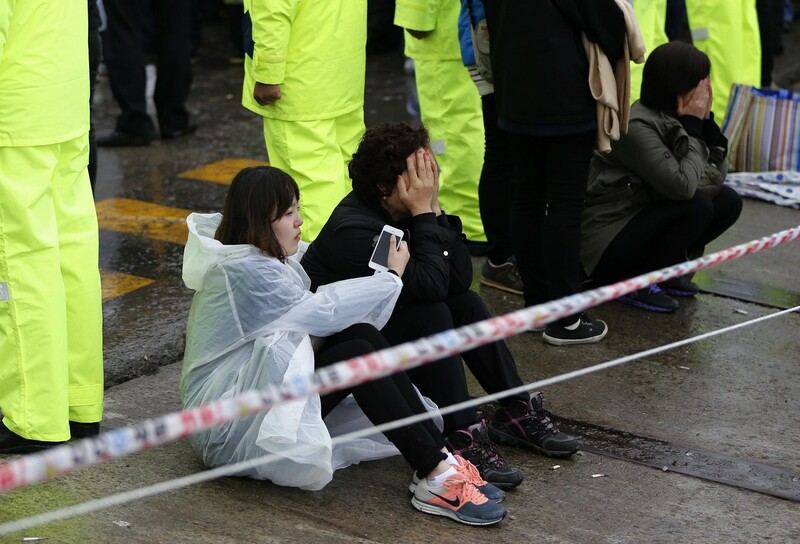 In recent years, we have had an unending series of tragedies caused by the same kind of insensitivity to safety. 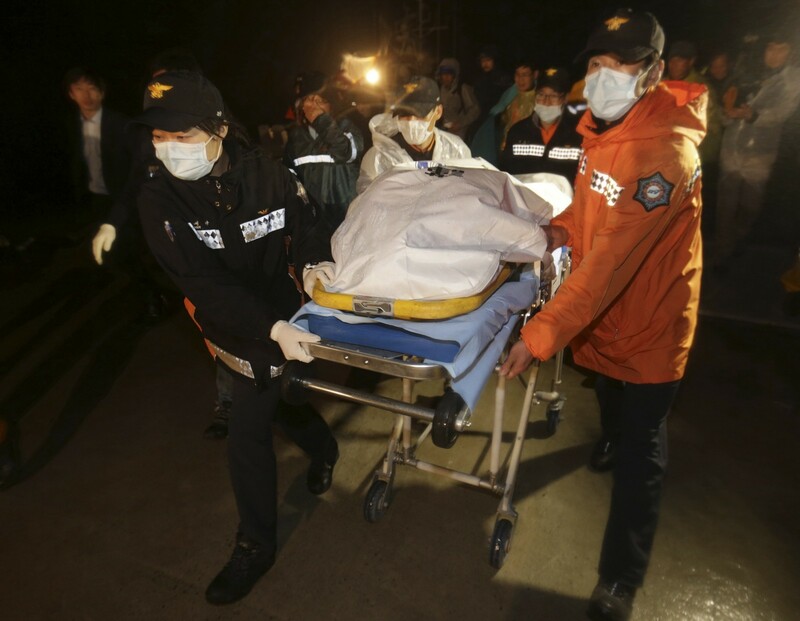 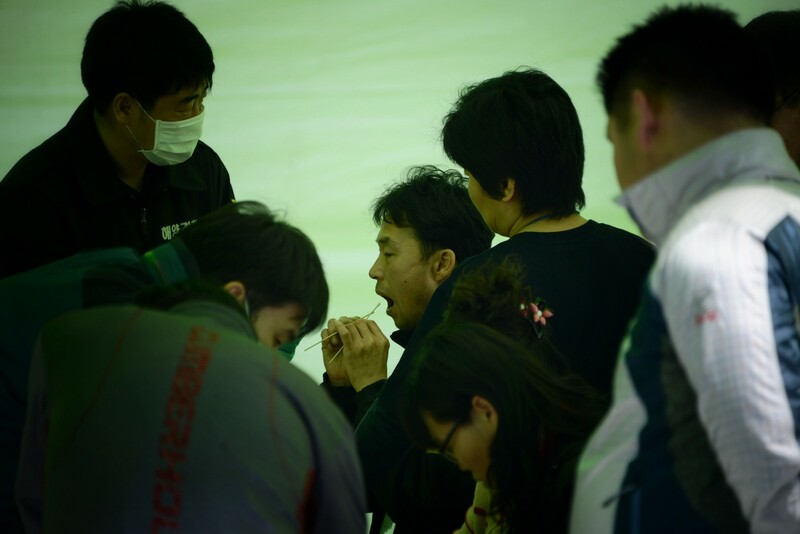 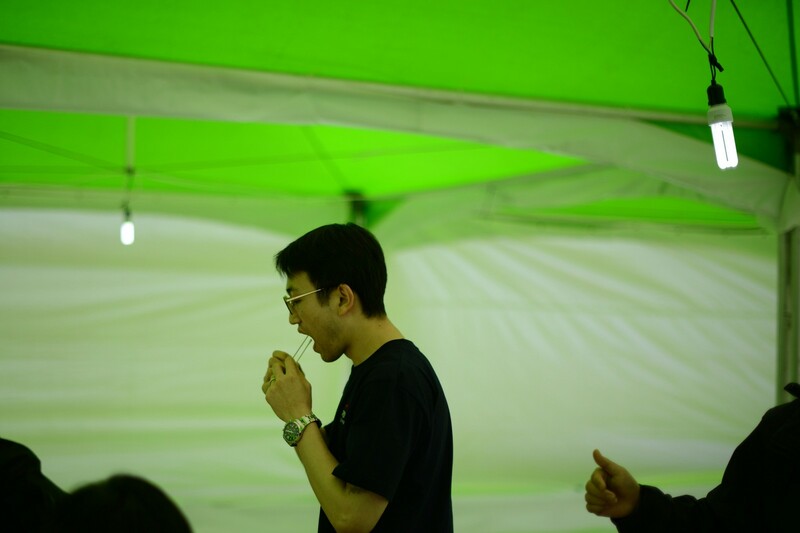 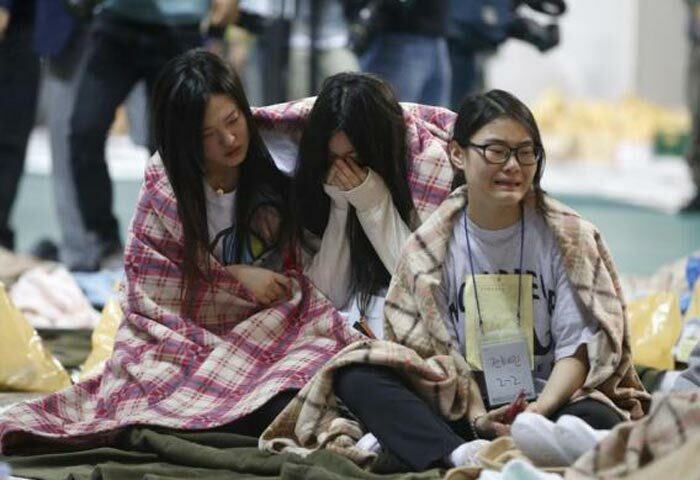 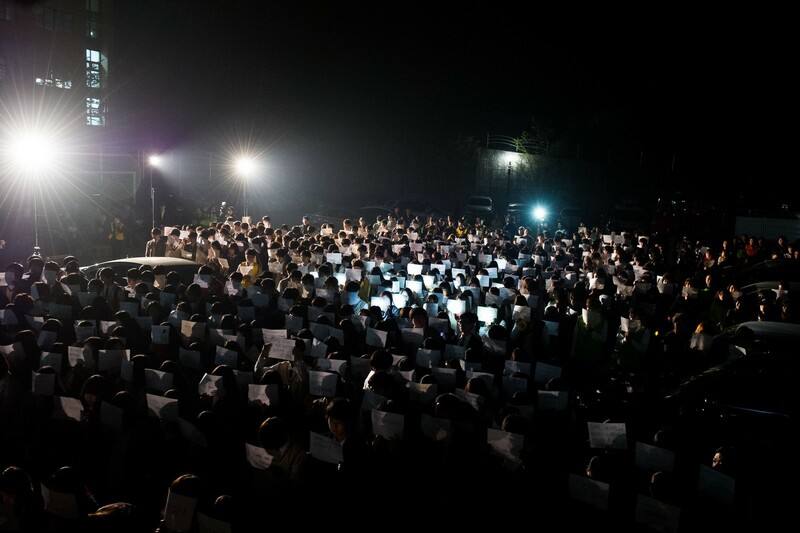 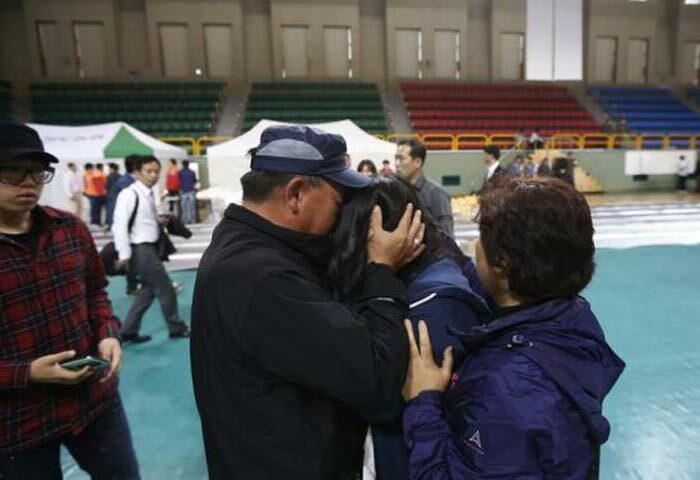 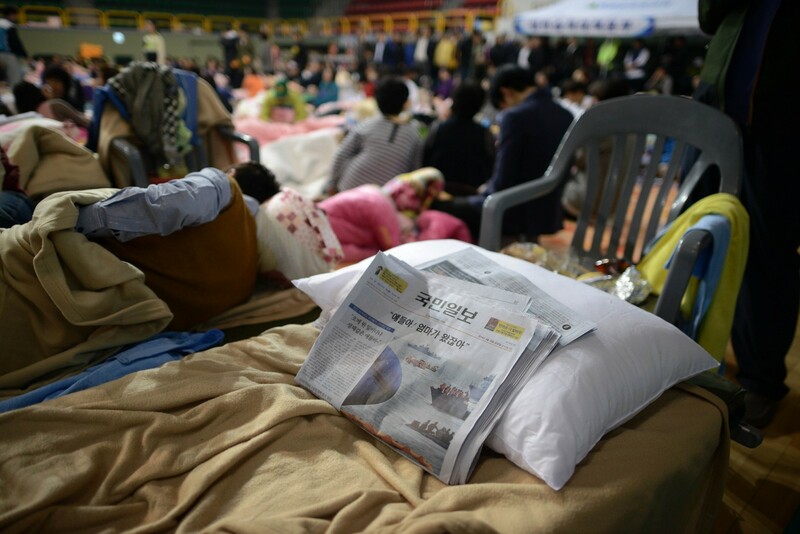 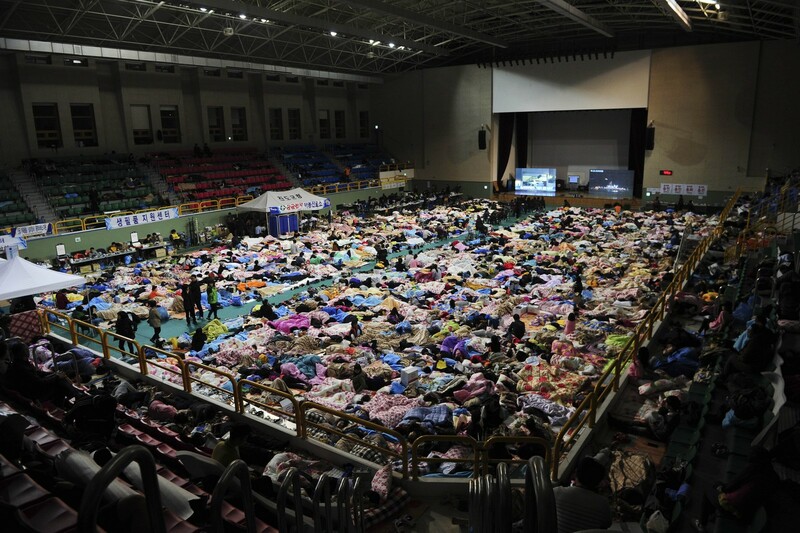 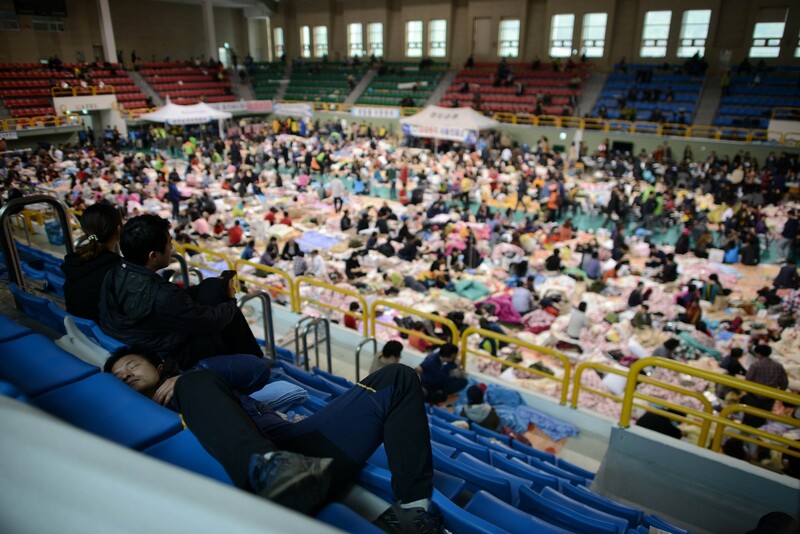 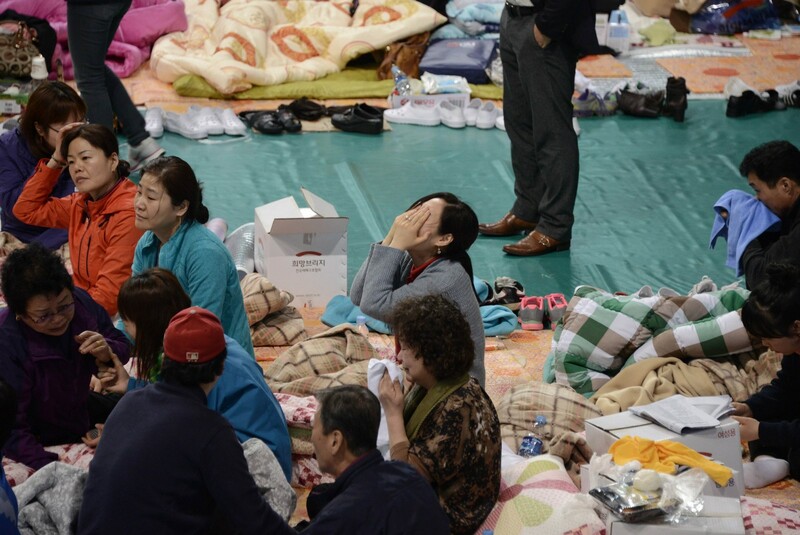 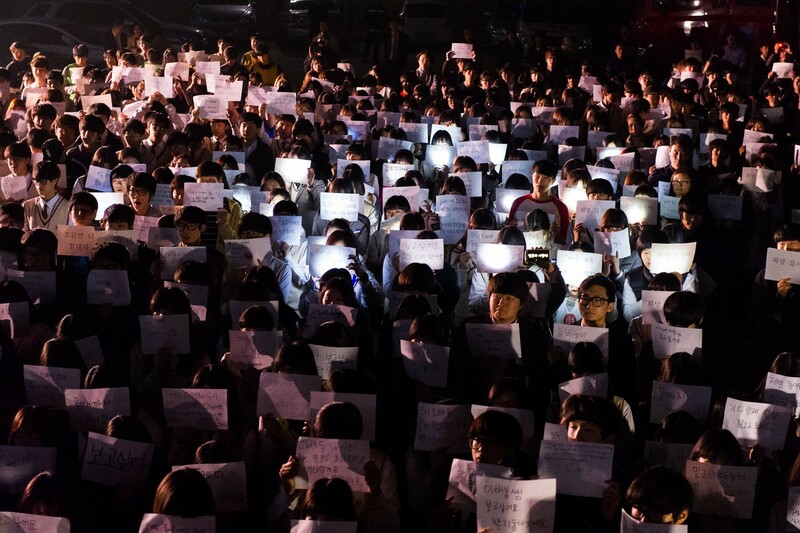 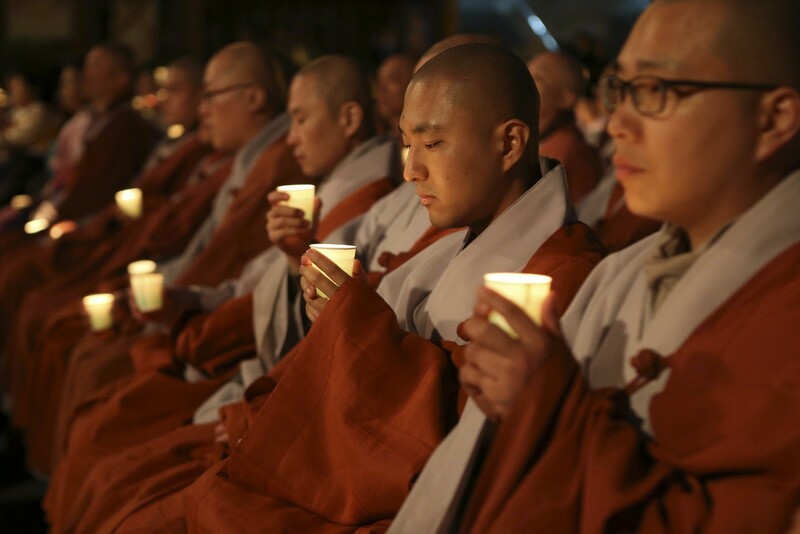 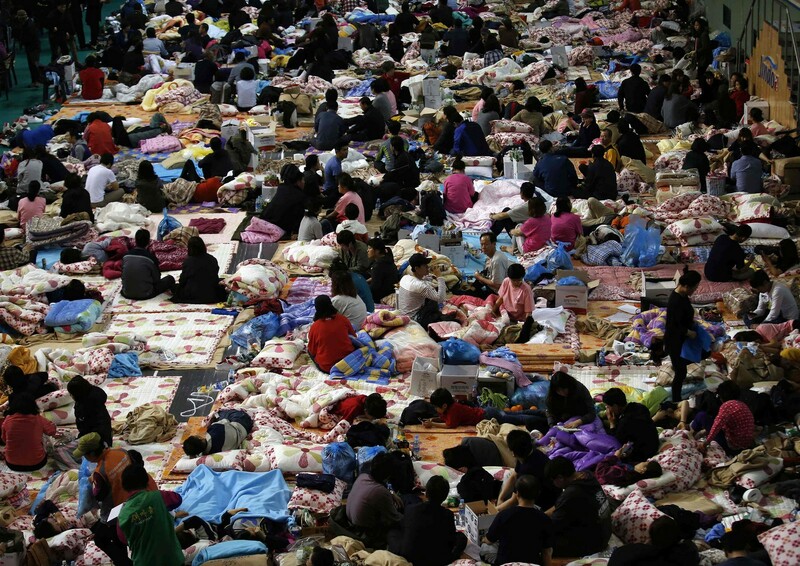 For instance, only two months ago, 10 college students were killed and more than 100 injured when the snow-laden gymnasium roof at the Mauna Ocean Resort in Gyeongju collapsed. 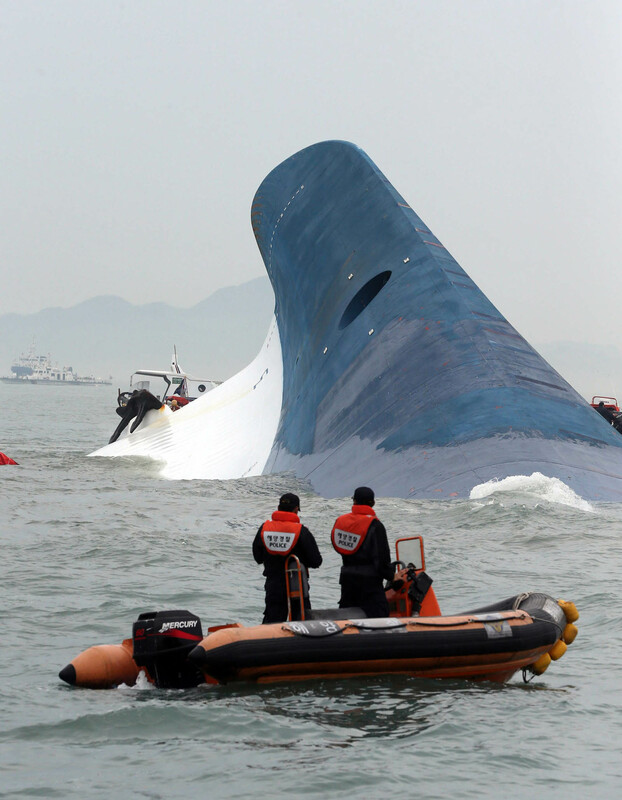 Despite these manmade disasters, the blithe indifference to safety remains uncorrected. 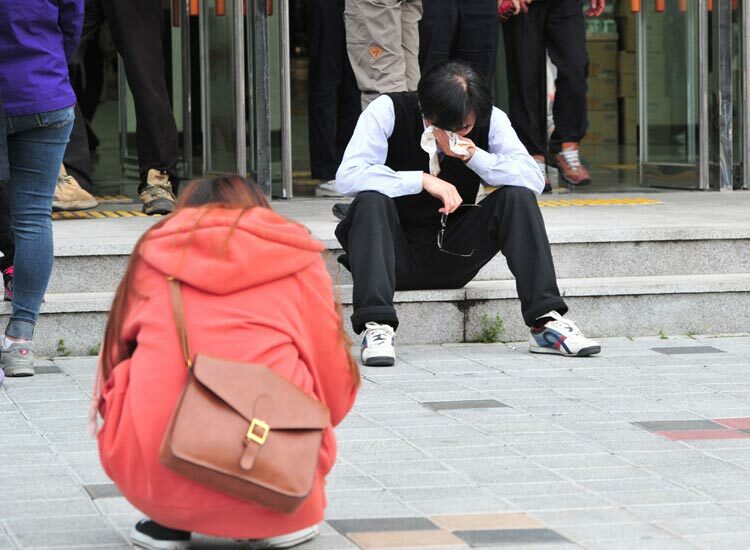 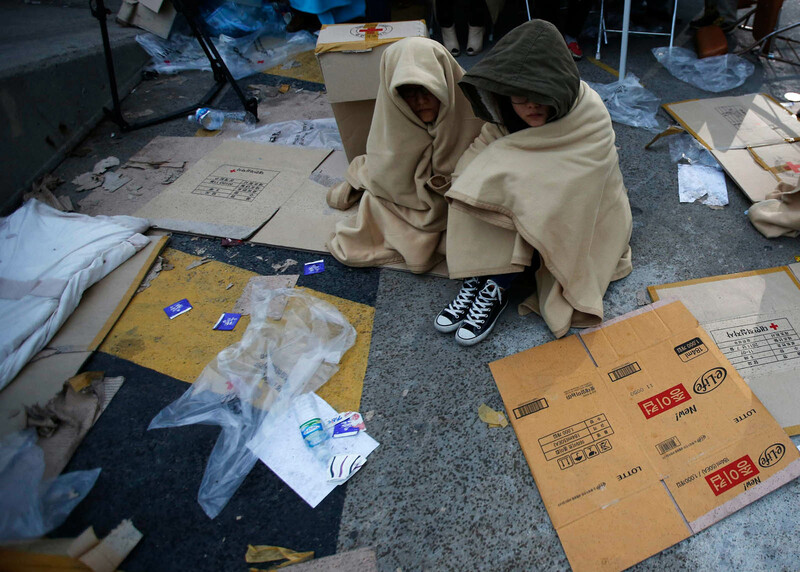 As long as people's mindset does not change, the misfortune will only continue. 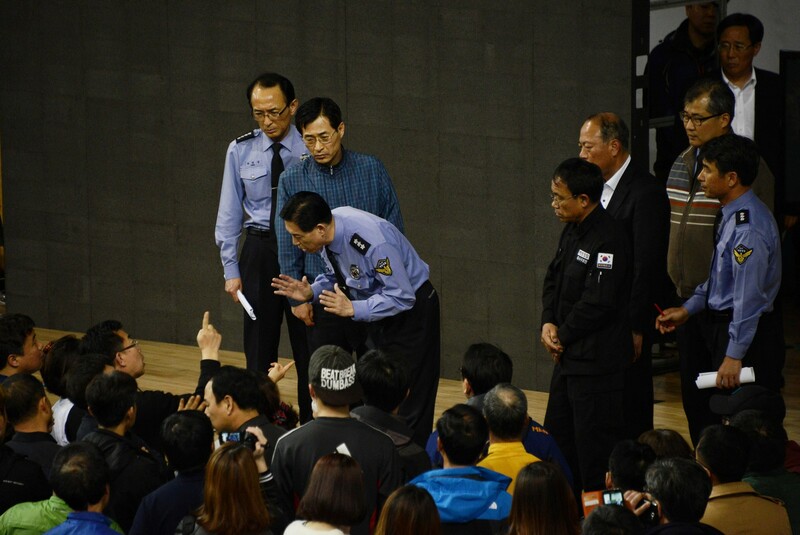 The government cannot avoid criticism either. 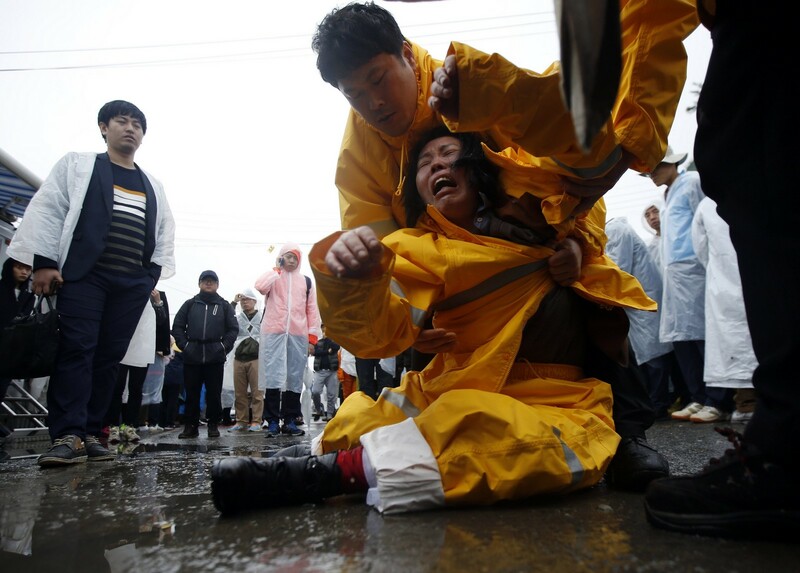 Its failure to respond to the disaster promptly boosted the death toll. 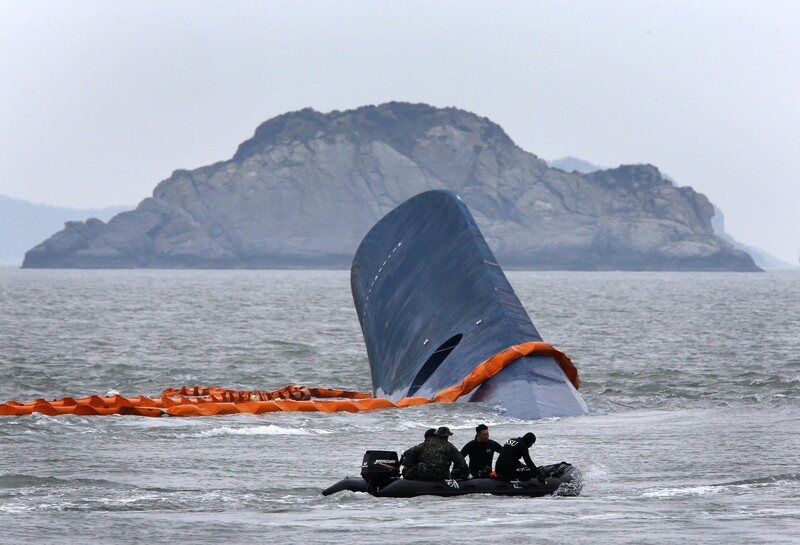 It made a fatal mistake of misjudging the situation at the initial stage of the tragedy. 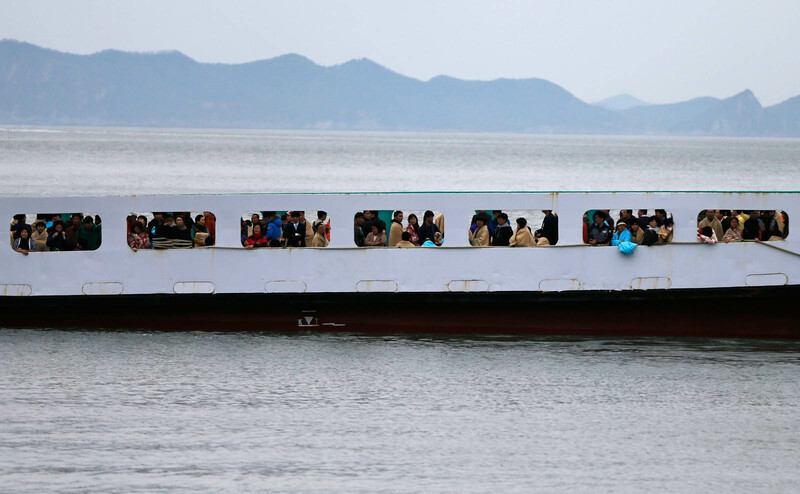 Since its inauguration, the incumbent administration has repeatedly said ensuring people's safety is one of its top priorities. 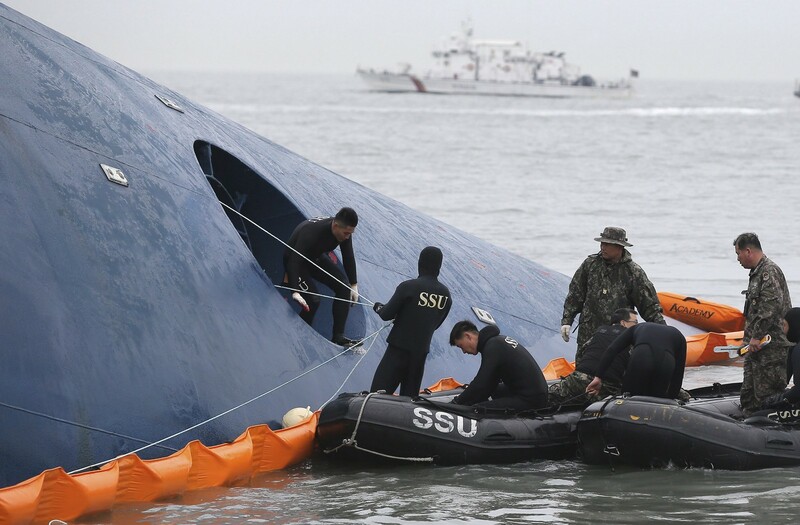 It needs to show that its commitment to safety is more than lip service.